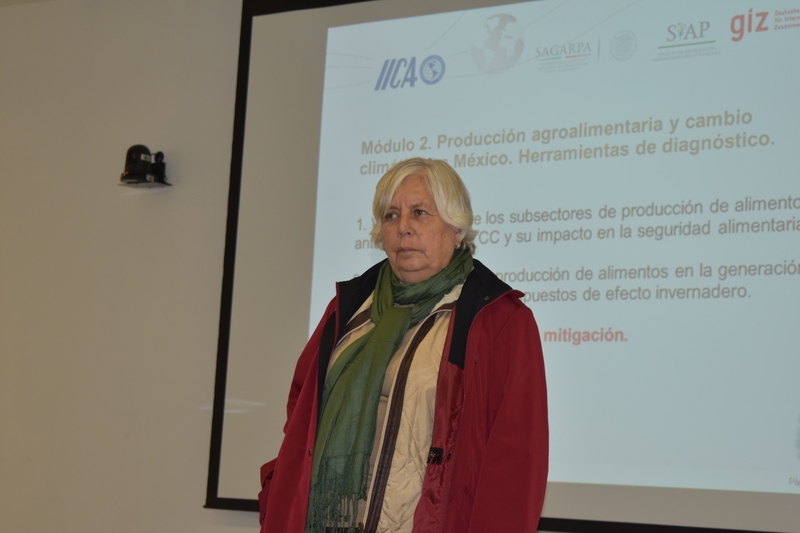 It is important to further develop the capacities of actors that play a fundamental role in productive systems and in actions to reduce vulnerability, mitigate emissions and increase the adaptation capacity of agrifood production to climate change. 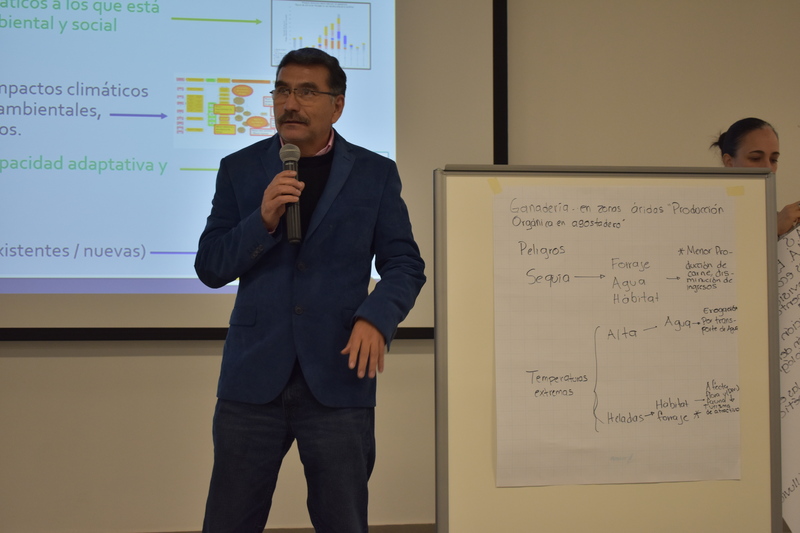 The workshop “Raising Awareness about the Valuation and Sustainable Use of Biodiversity and Climate Change in the Agrifood Sector” was offered at five regional headquarters from October to November 2018. 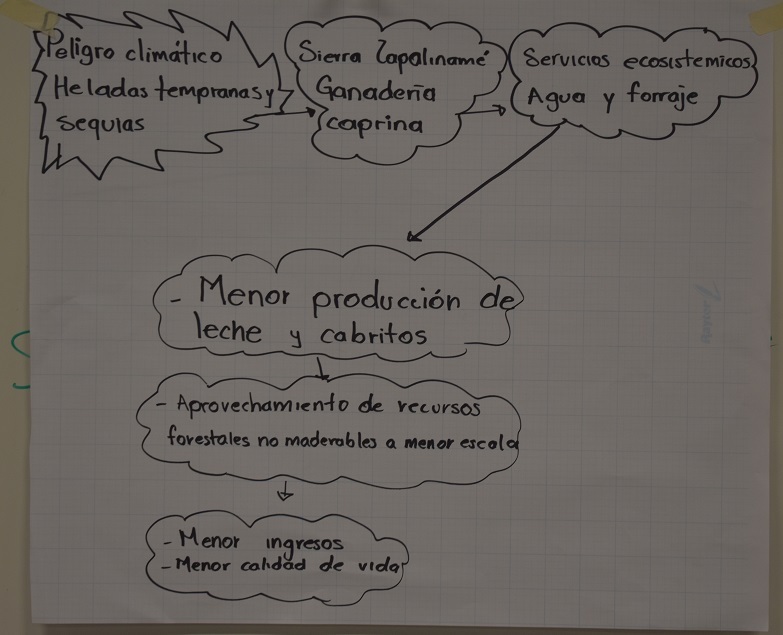 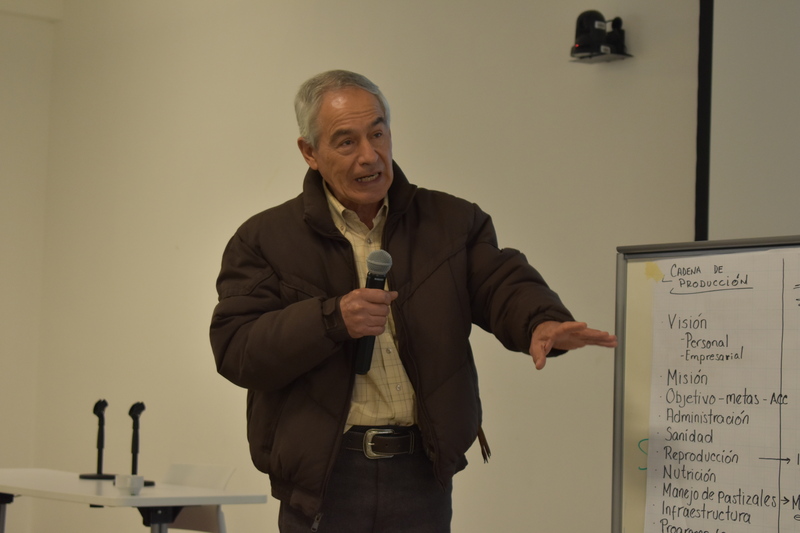 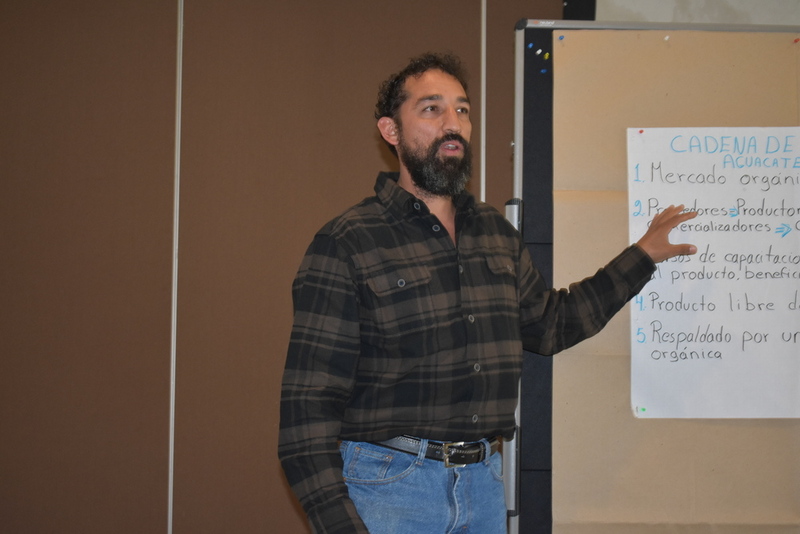 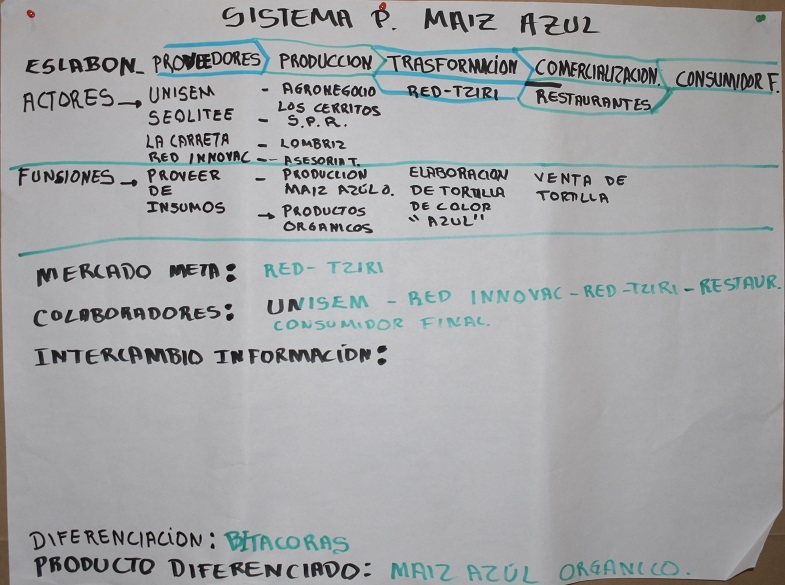 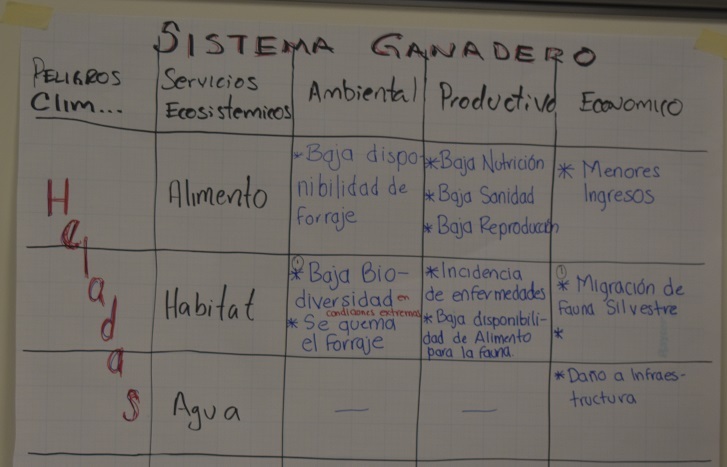 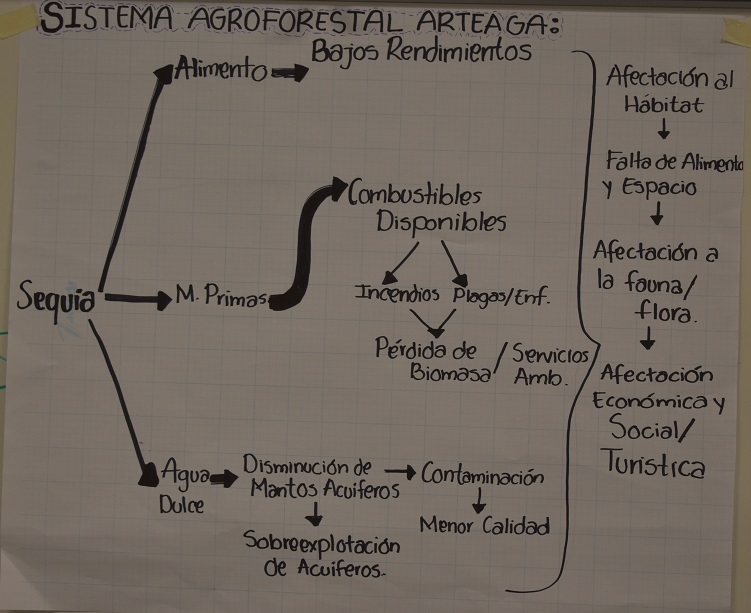 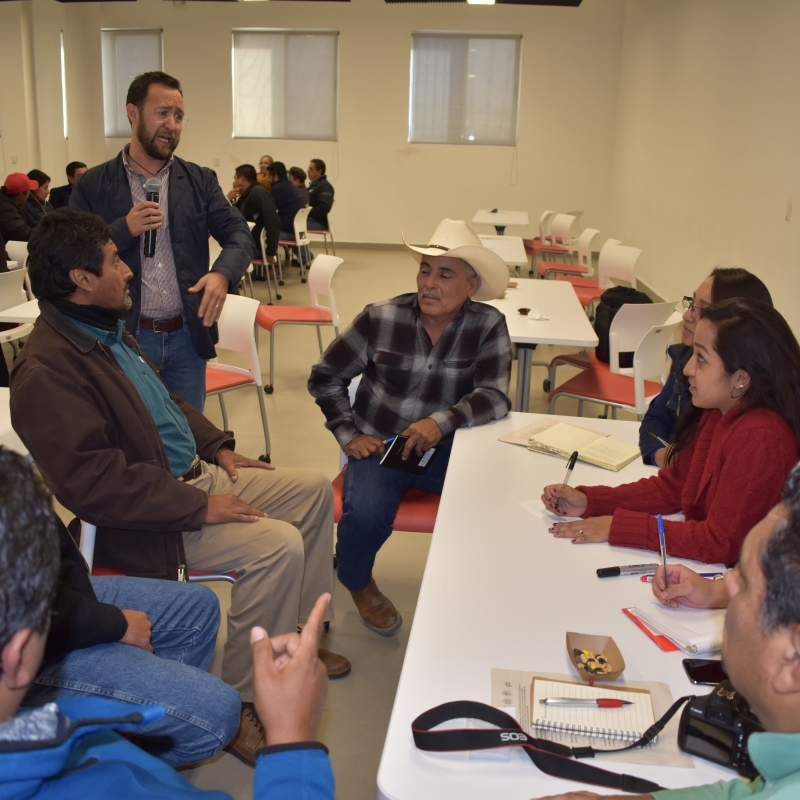 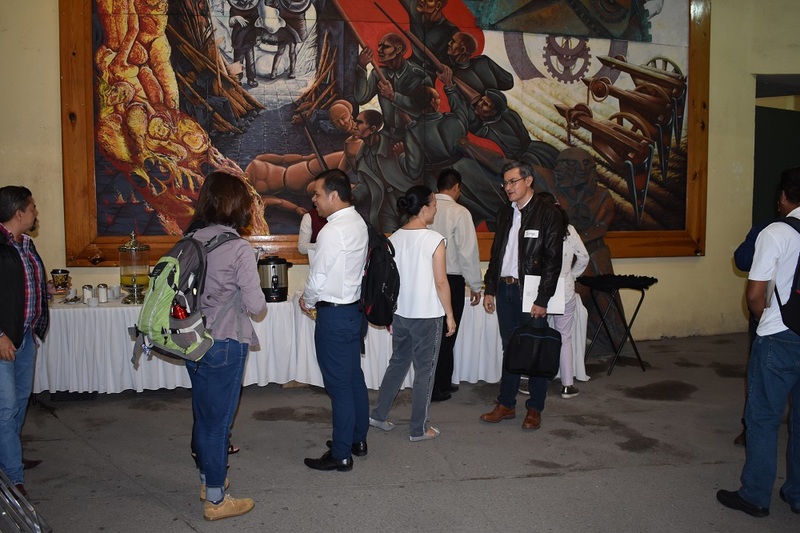 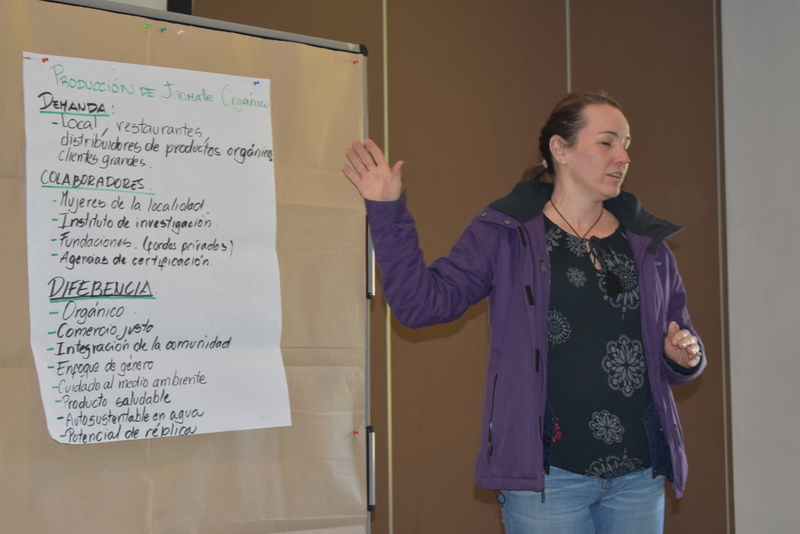 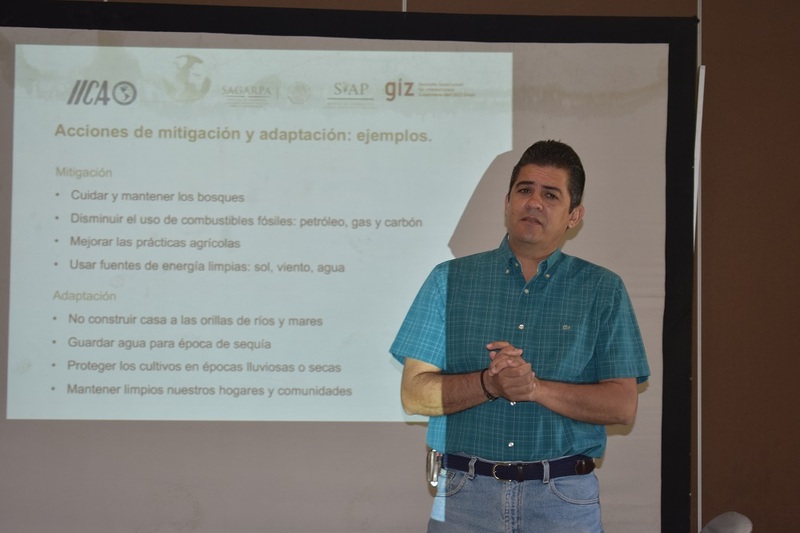 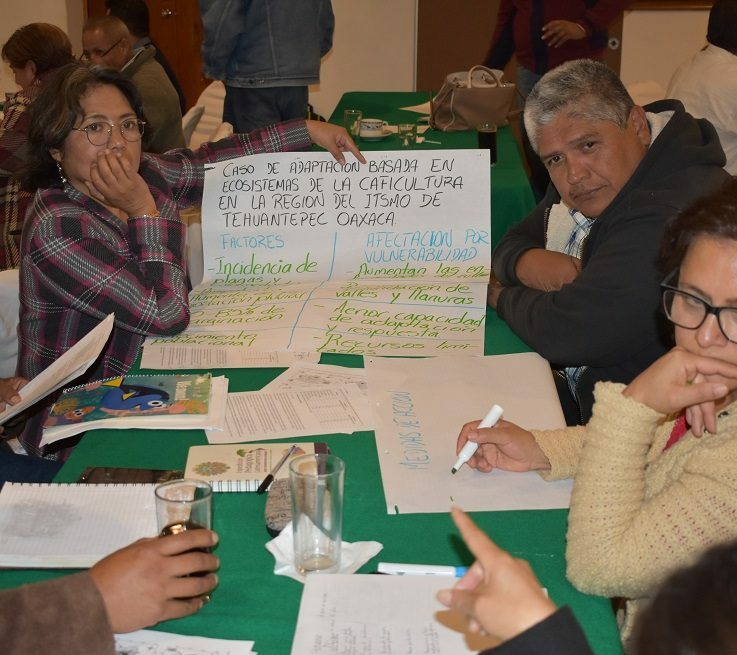 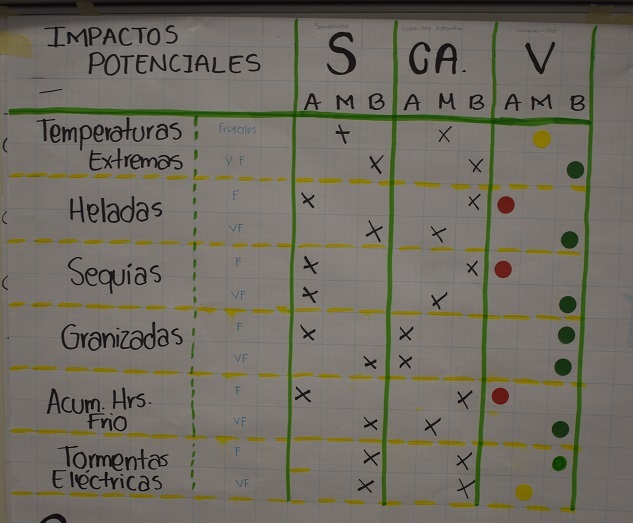 It was organized by the Inter-American Institute for Cooperation on Agriculture (IICA-Mexico) and the Mexican-German Climate Change Alliance, a project implemented by the Deutsche Gesellschaft für Internationale Zusammenarbeit (GIZ) GmbH. 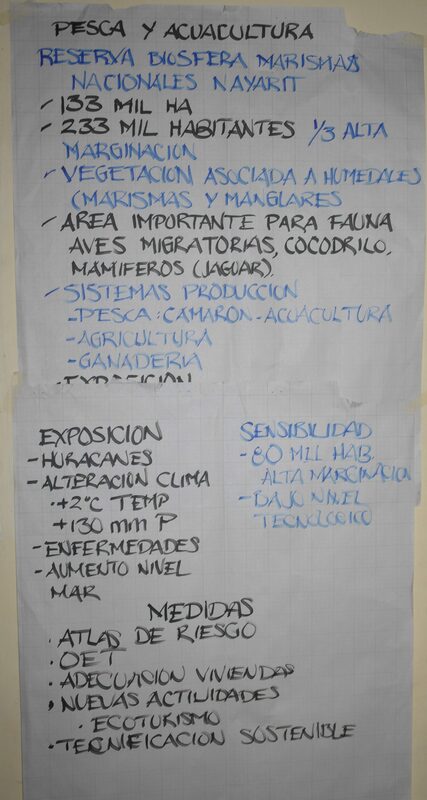 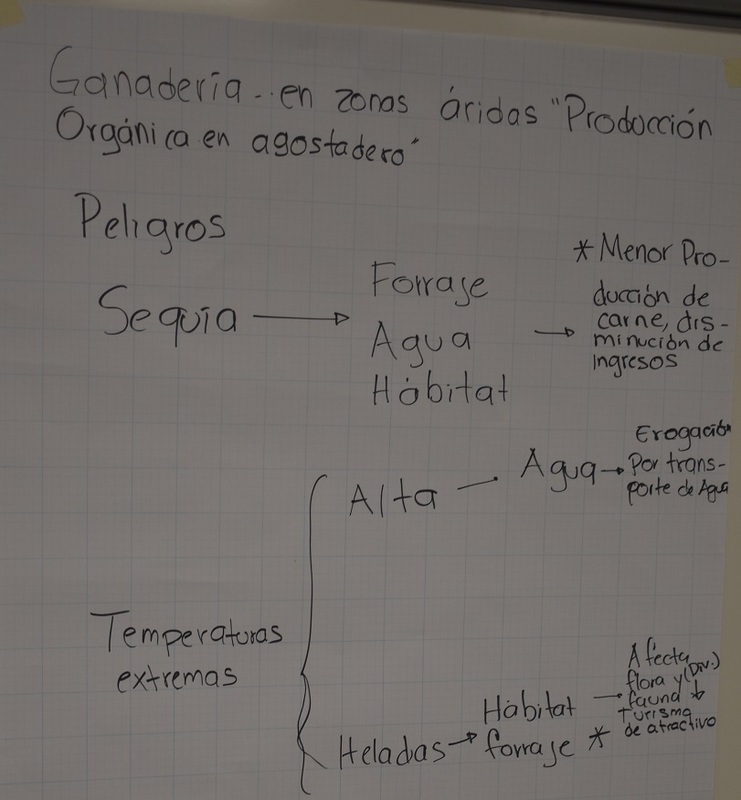 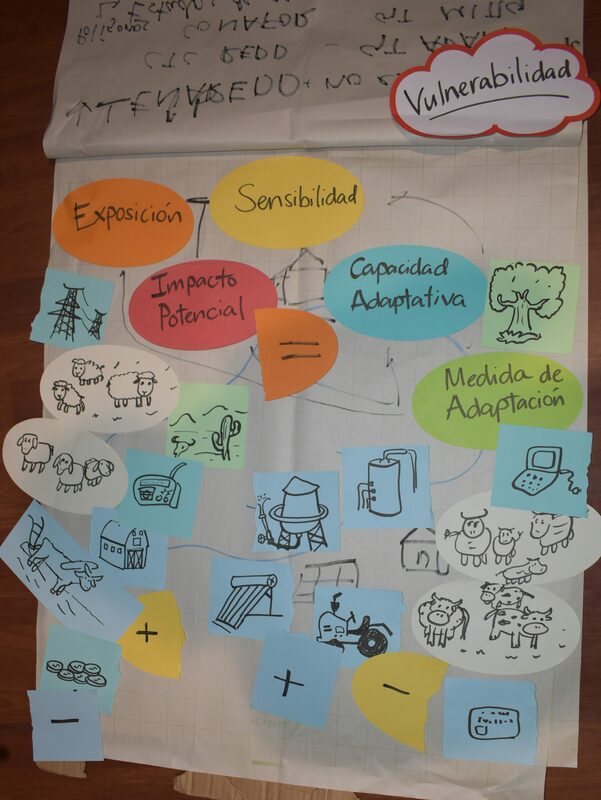 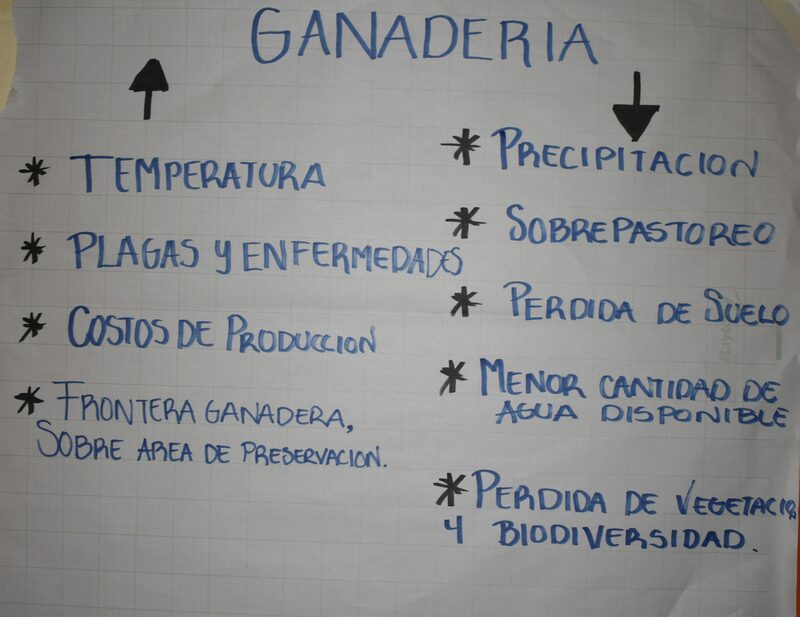 The objective of the workshop was to provide participants with knowledge and basic tools about approaches to the conservation and sustainable use of biodiversity, Ecosystem-based Adaptation (EbA), the mitigation of greenhouse gases and compound emissions (CyGEI), value chains and the valuation of ecosystem services in the agrifood sector. 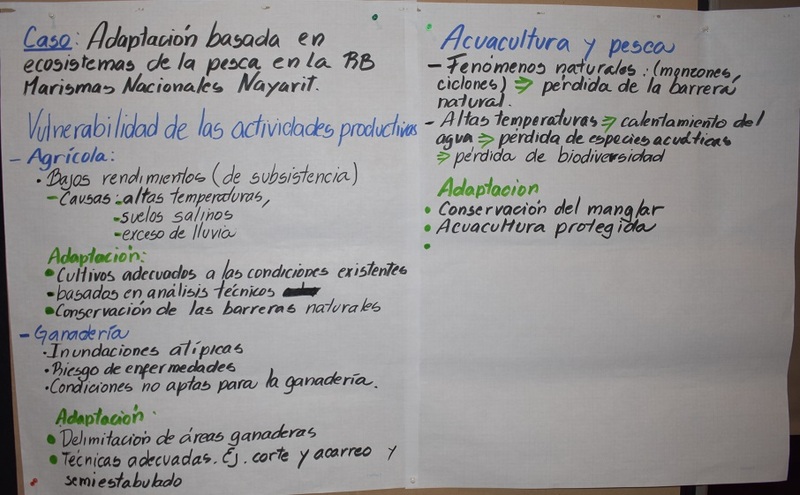 Among the topics addressed in presentations and analysis exercises were the current situation of climate change, biodiversity and ecosystem services as they relate to agrifood production; dependence on ecosystem services for food production; the vulnerability of food production subsectors to climate change effects and its impact on food security; the implications of food production on the generation of greenhouse gases and compound emissions; and adaptation and mitigation measures in agrifood production subsectors. 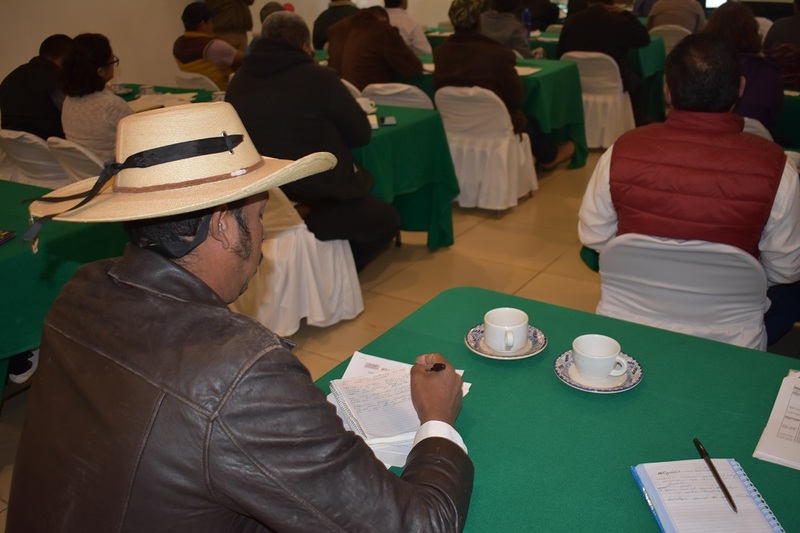 The workshop also included a presentation on the Climate Change and Agrifood Production Agenda (2018-2030) and the Integration Strategy for the Conservation and Sustainable Use of Biodiversity in the Agricultural Sector (2016-2022). 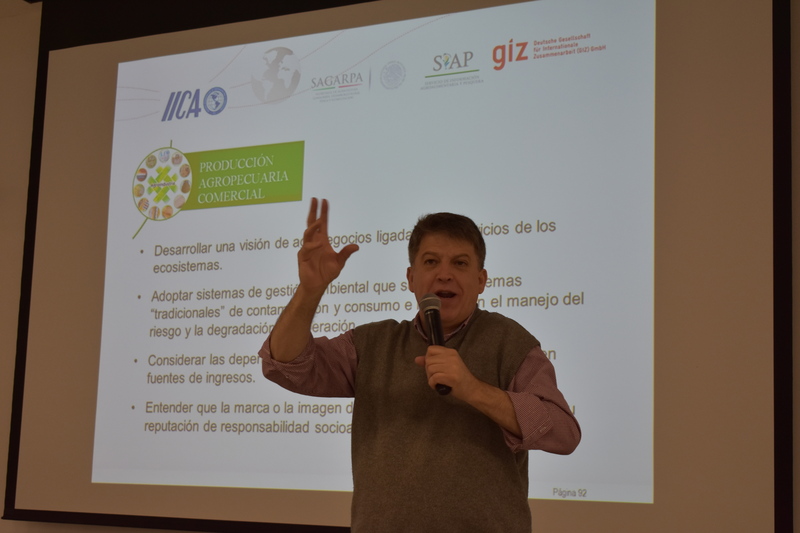 Both are useful programmatic tools for managing this problem, both in terms of public policy and the collective action of relevant stakeholders. 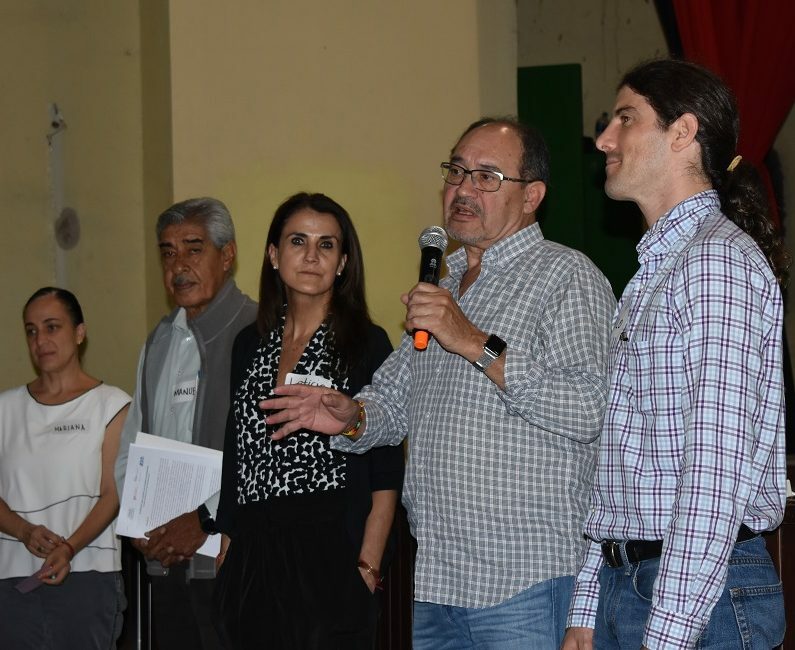 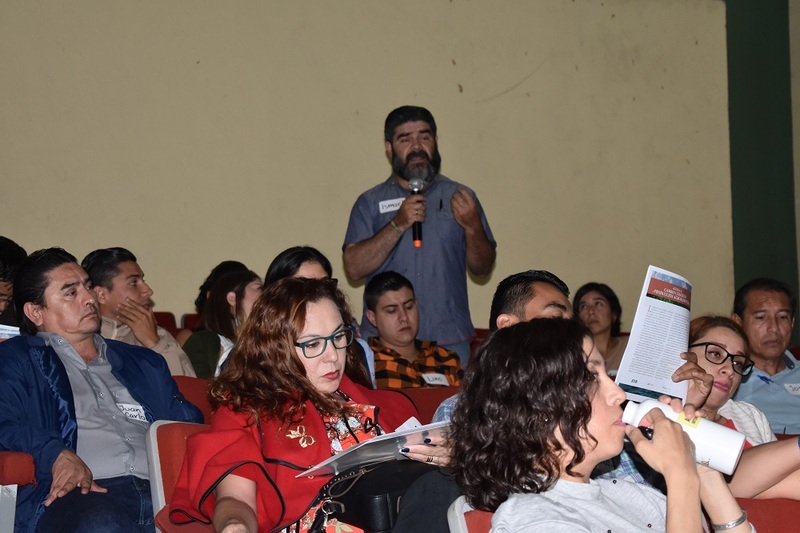 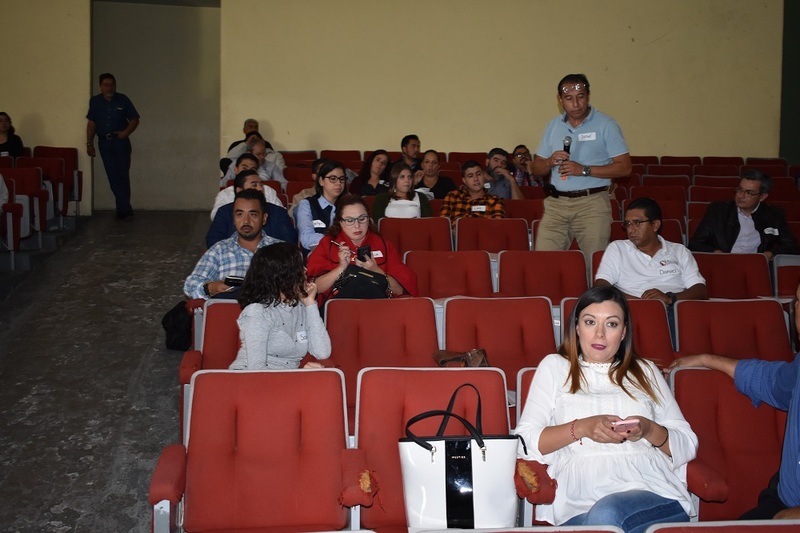 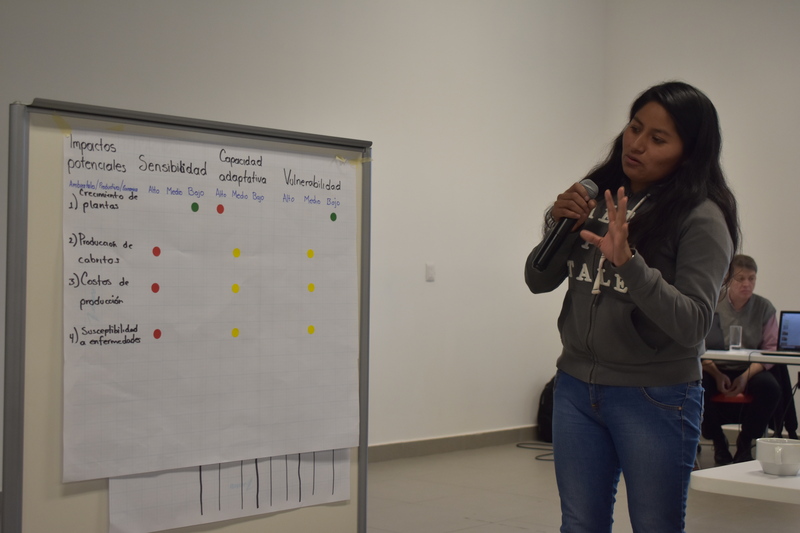 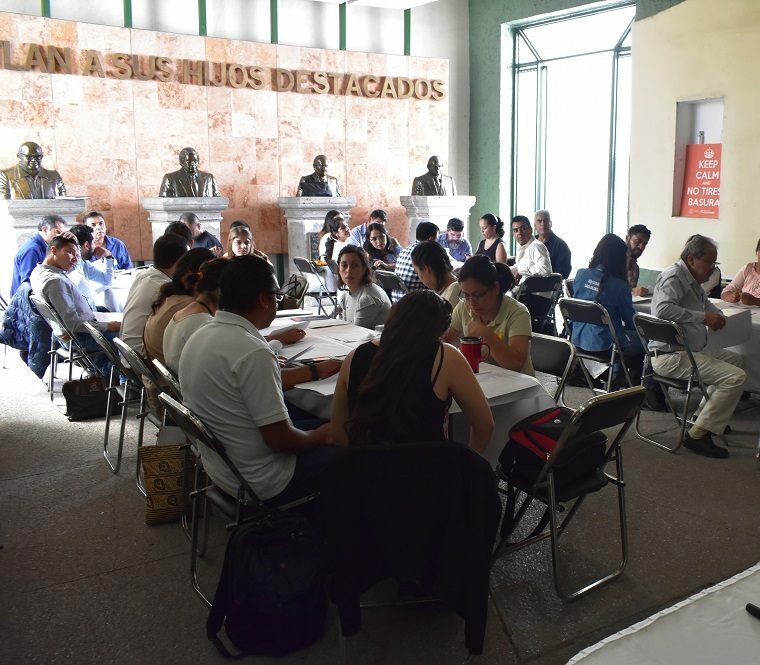 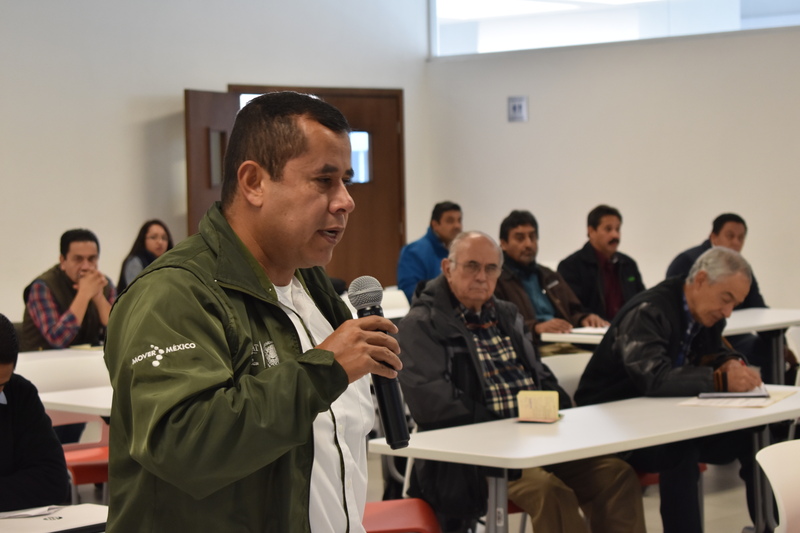 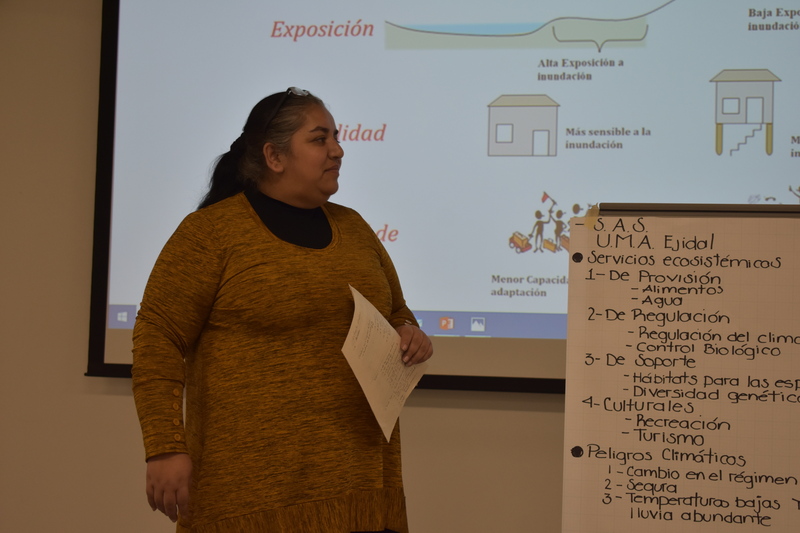 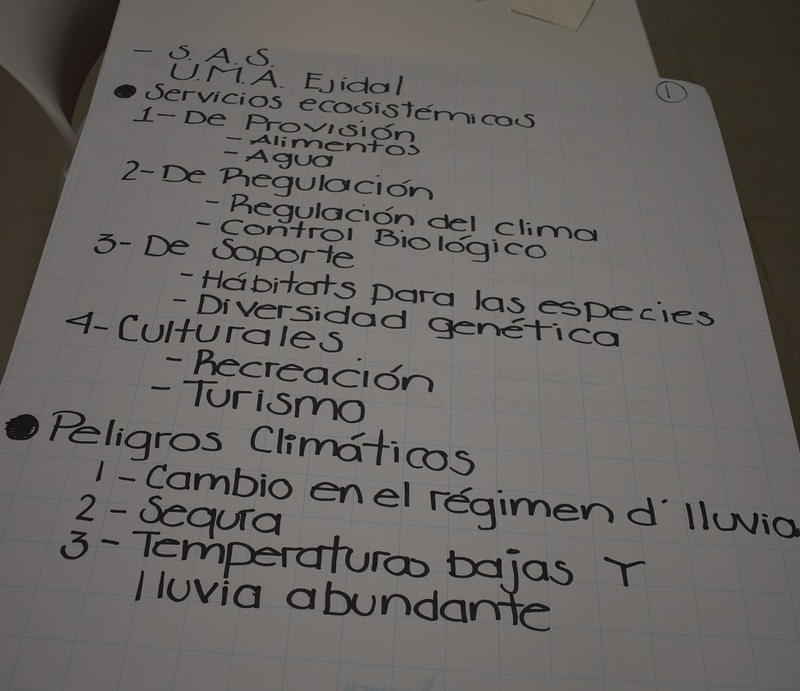 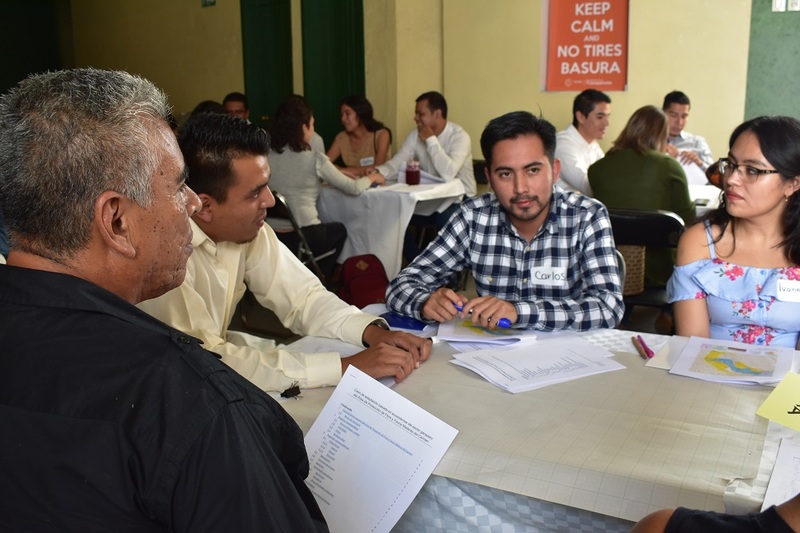 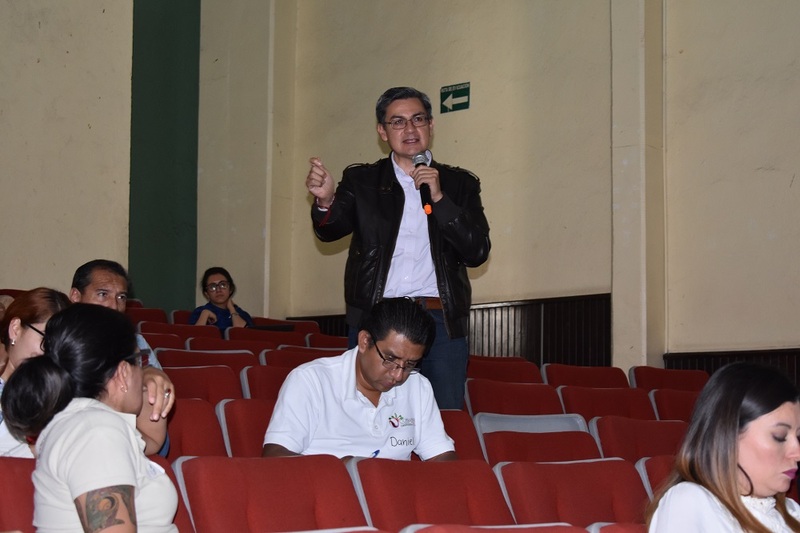 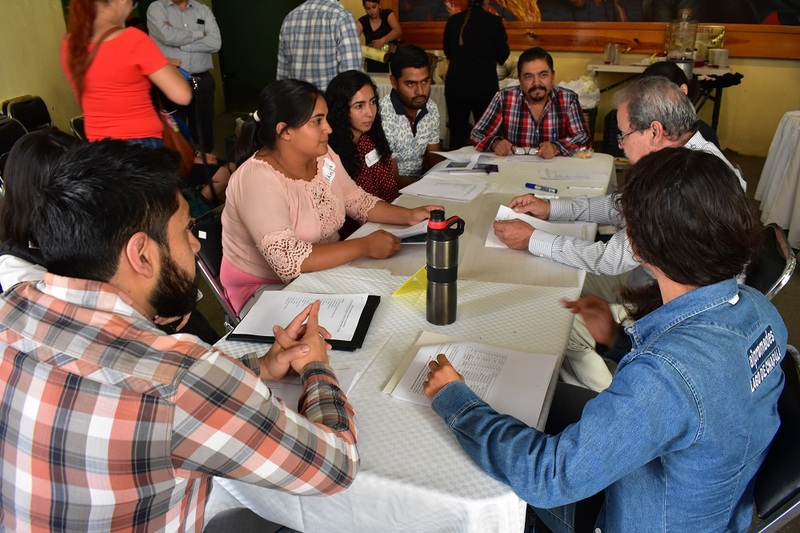 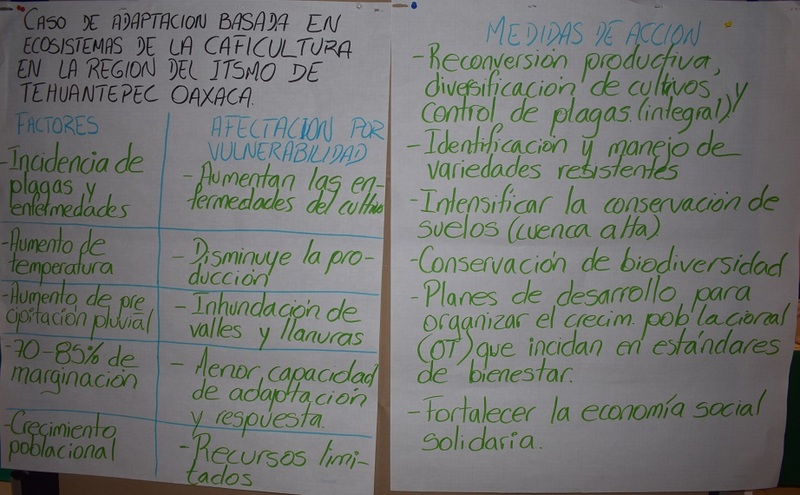 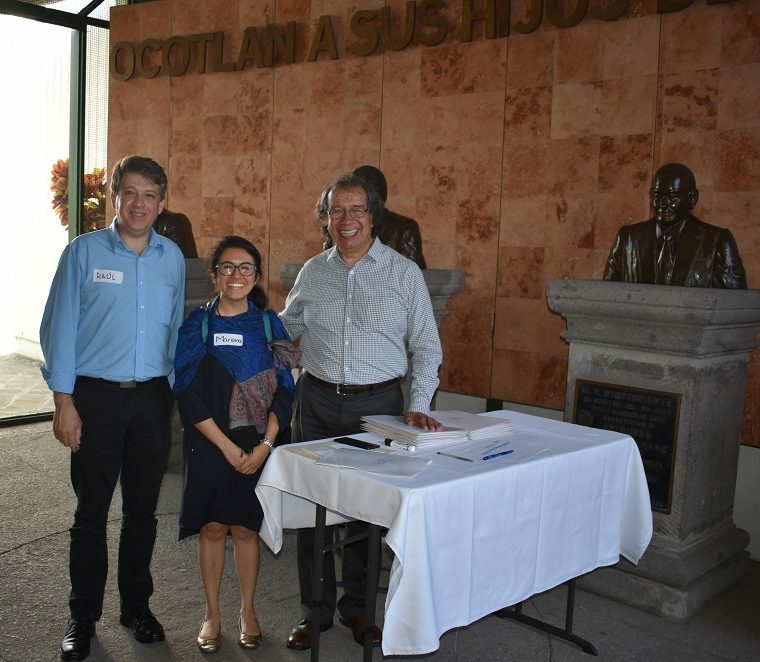 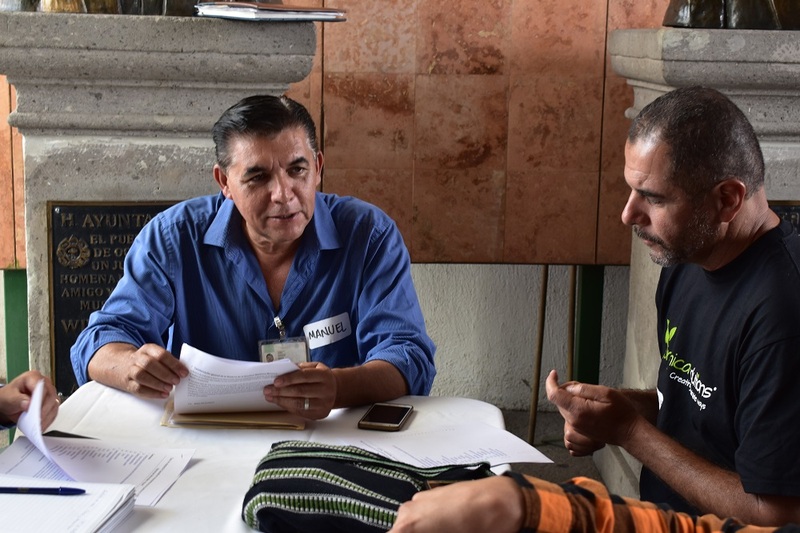 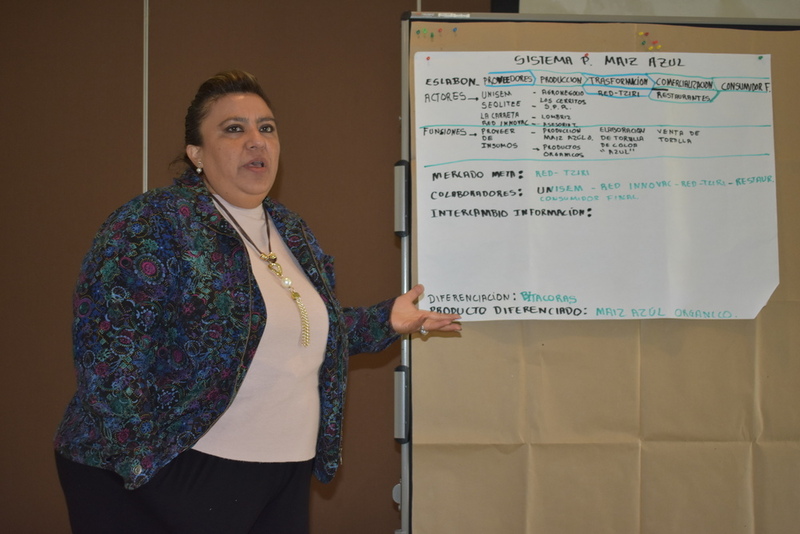 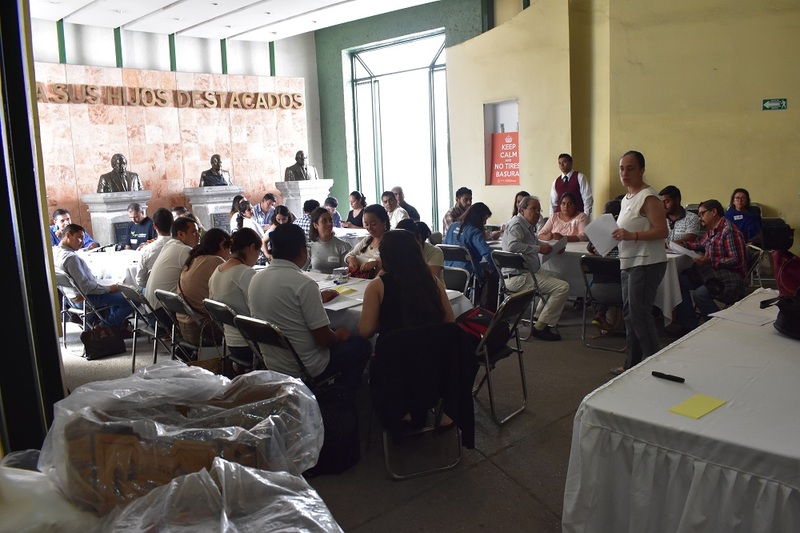 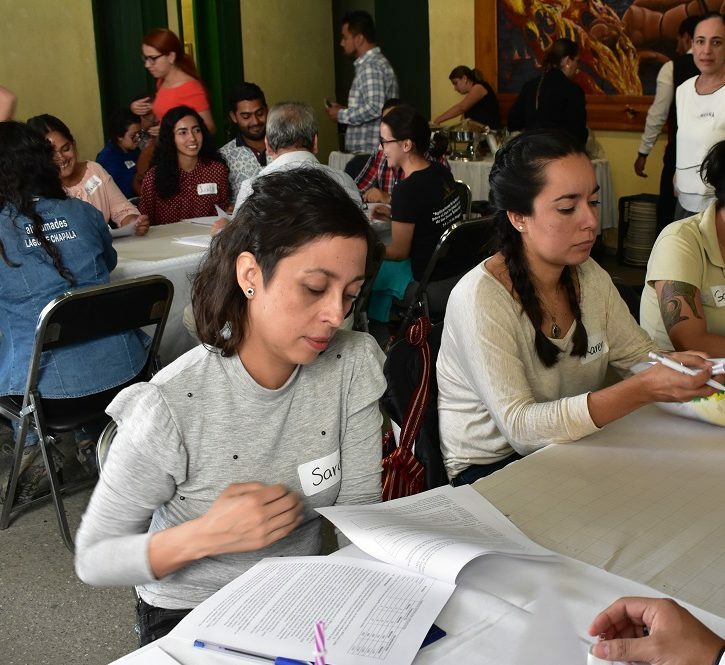 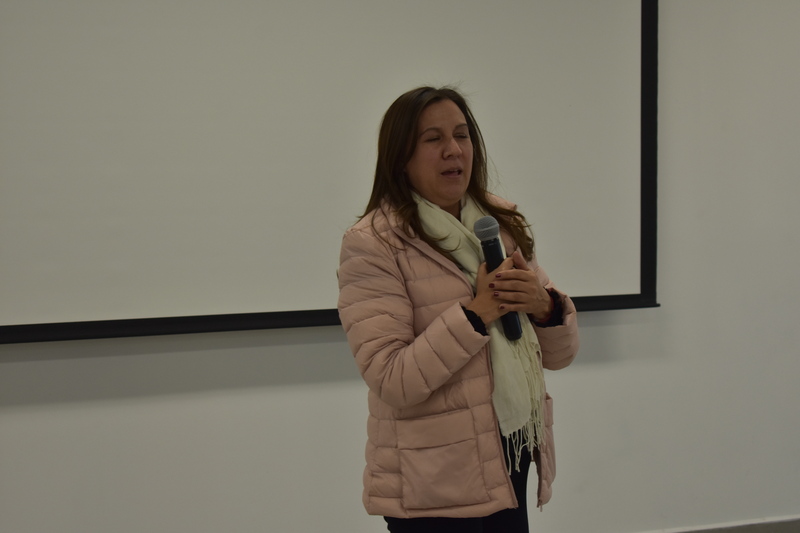 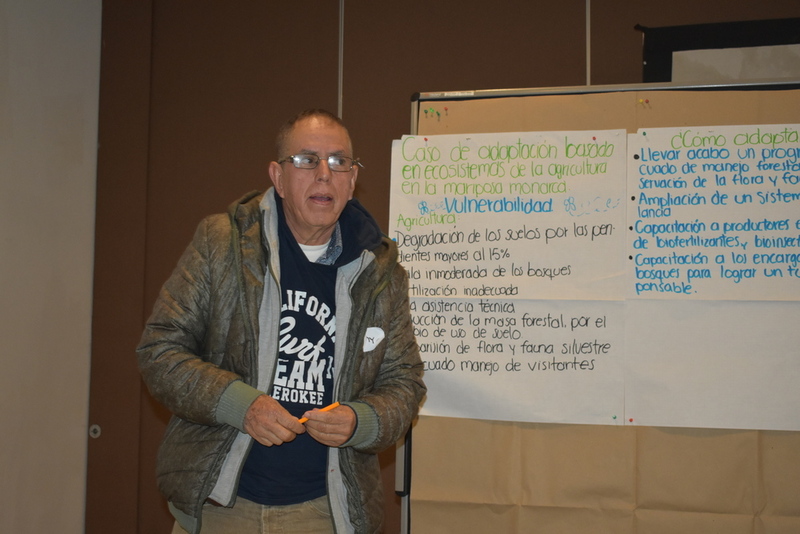 The first workshop was held in coordination with the Rural Development Support Center (CADER) of Ocotlán, Jalisco, on October 4 and 5, in the auditorium of Ocotlán’s Casa de Cultura on the bank of Lake Chapala. 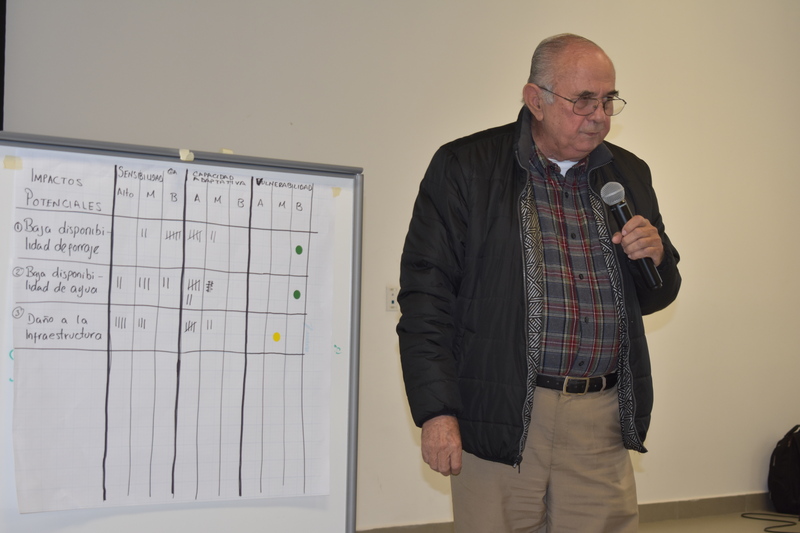 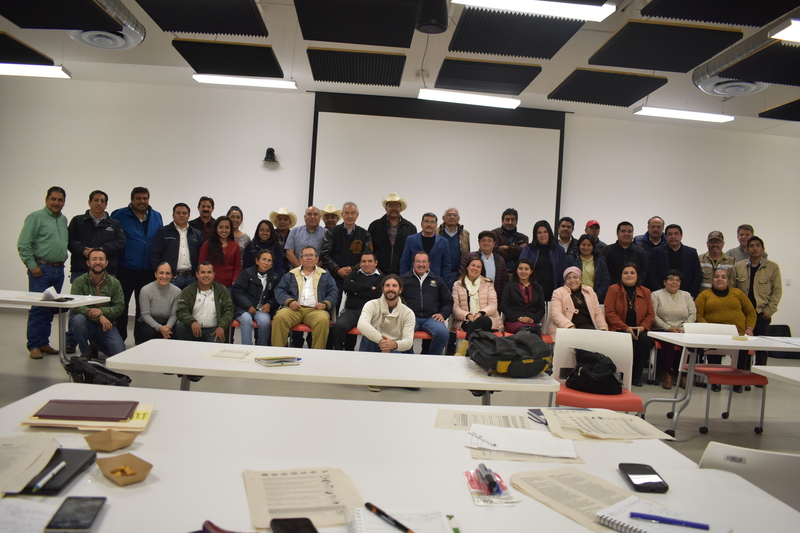 It included 42 participants, including rural producers, representatives from the Ocotlán municipal government and technical personnel from CADER Ocotlán, the Jalisco Delegation of the Ministry of Agriculture, Livestock, Rural Development, Fisheries and Food (SAGARPA), the Ministry of Rural Development (SEDER) of Jalisco, the National Forestry Commission (CONAFOR), the National Institute for the Development of Rural Capacities, A.C. (INCA Rural), the Agri-Food and Fisheries Information Service (SIAP), the Intermunicipal Association for the Protection of the Environment and Sustainable Development of Lake Chapala (AIPROMADES Lago de Chapala), the Jalisco Produce Foundation, the Trust Funds for Rural Development (FIRA), the Agency for Services toward the Commercialization and Development of Agricultural Markets (ASERCA), as well as consultants, and students studying agrobiotechnology at the University of Guadalajara. 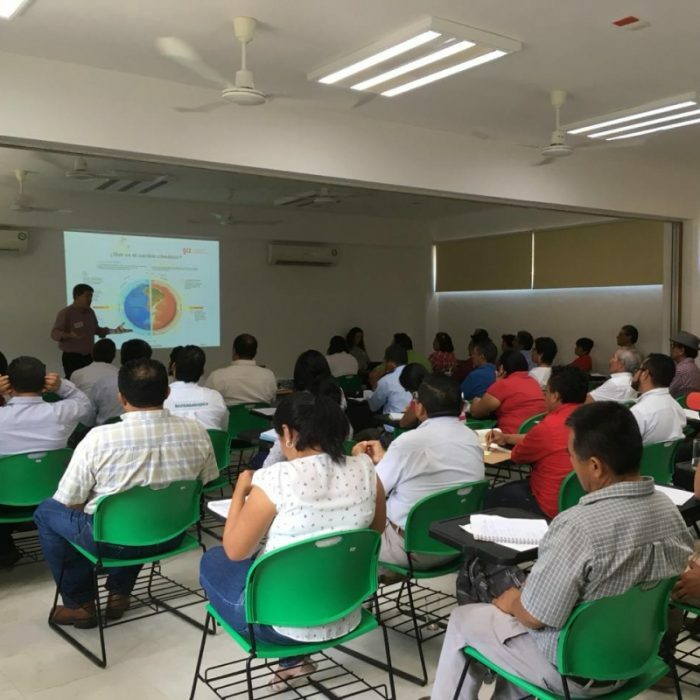 The second workshop was held at the Yucatán Scientific and Technological Park near Mérida, Yucatán, on October 29 and 30. 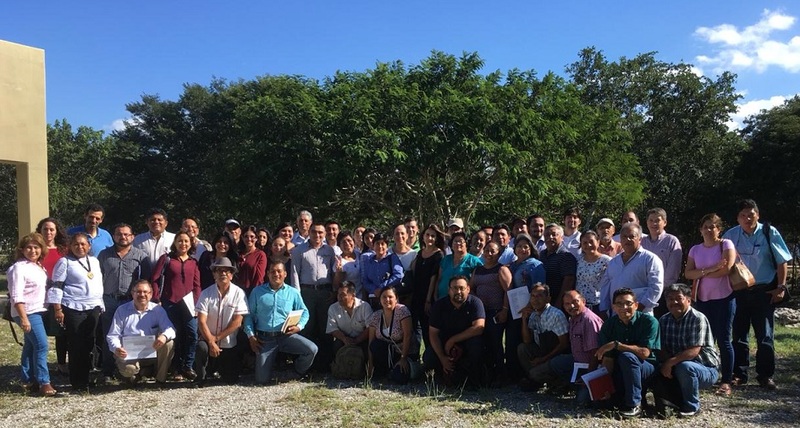 It had 70 participants, including rural producers, students, extensionists and private consultants; technical staff from the National Commission of Natural Protected Areas (CONANP), FIRA-Southeast and the Consulting Technical Commission of Rangeland Coefficients (COTECOCA); researchers and academics from the Center for Research and Assistance in Technology and Design of the State of Jalisco, A.C. (CIATEJ-Southeast), the National Institute for Forestry, Agriculture and Livestock Research (INIFAP), and the Yucatán Center for Scientific Research, A.C.; and civil society organization members from the Yucatán Peninsula Climate Fund, A.C. and Heritage, Development and Sustainability, A.C. 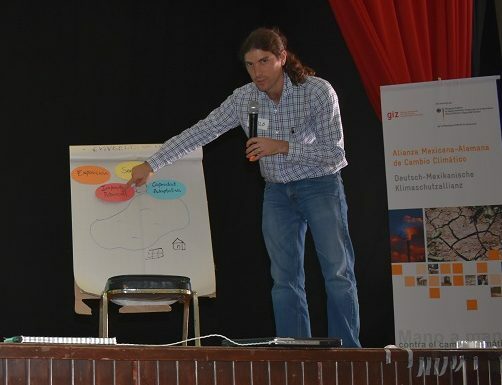 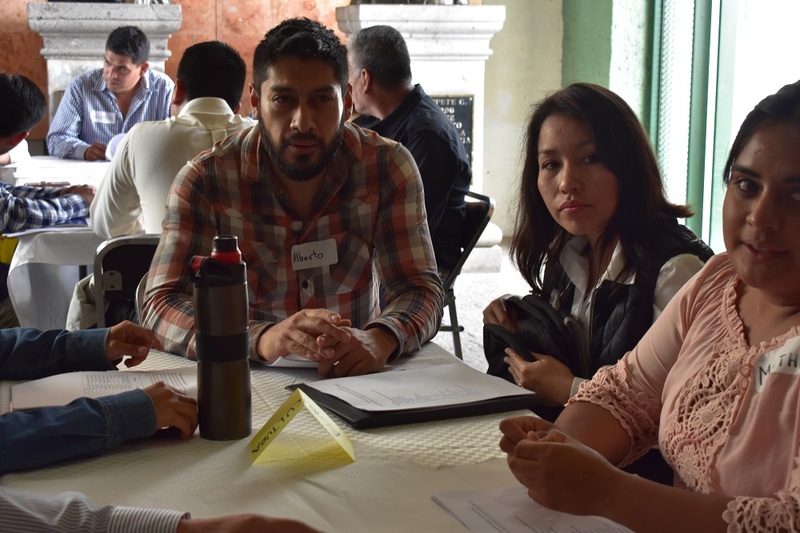 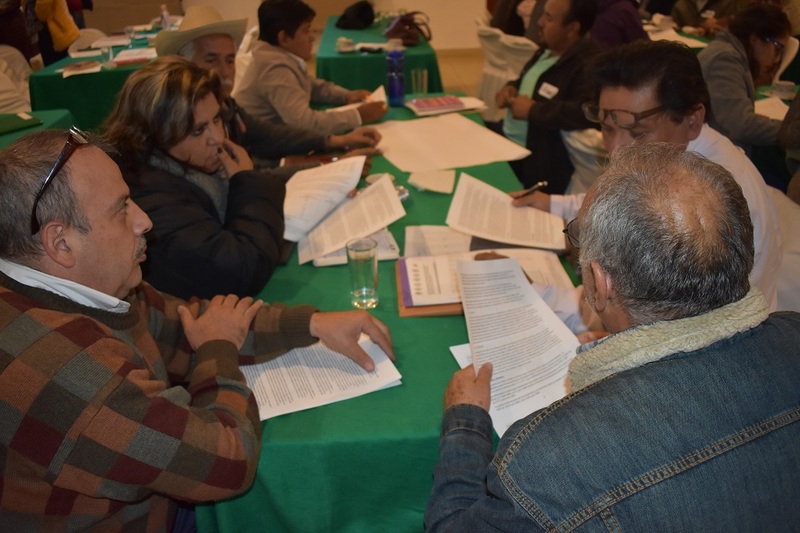 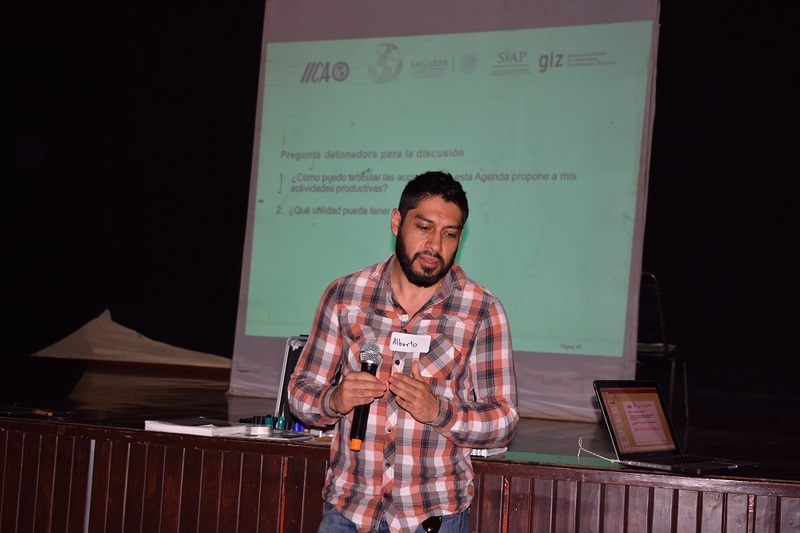 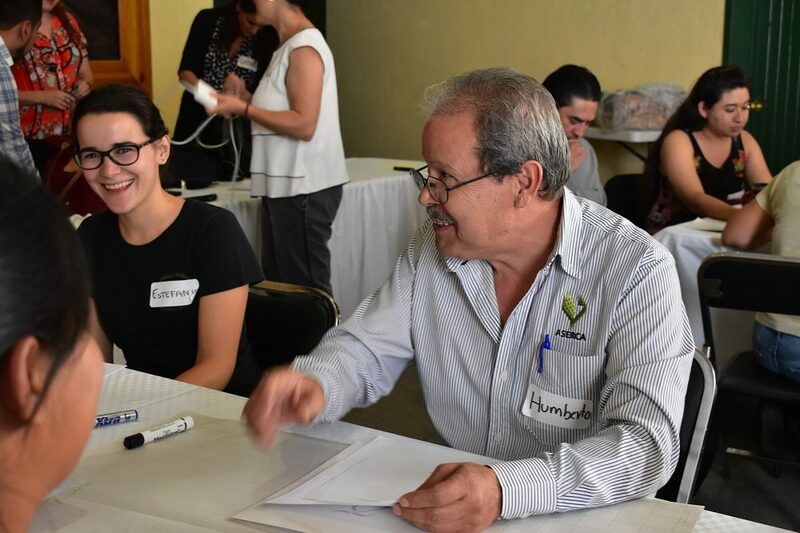 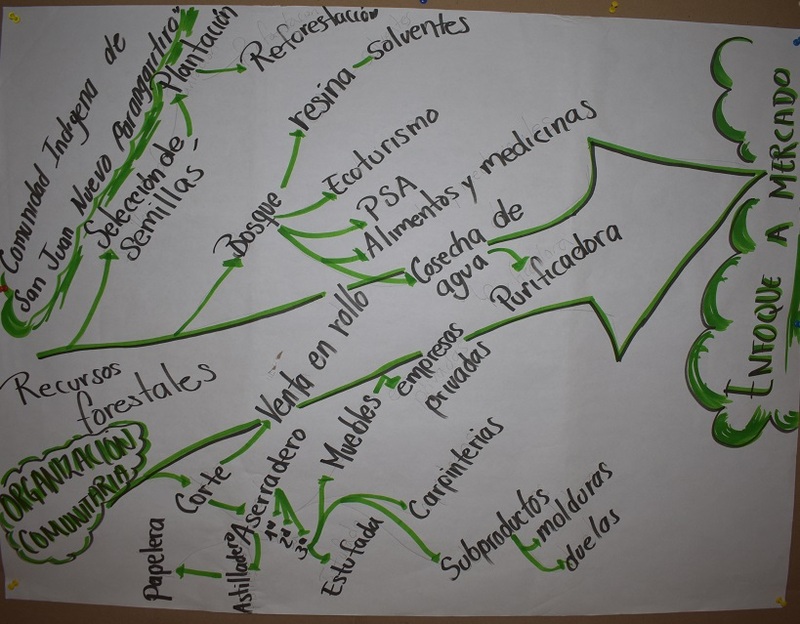 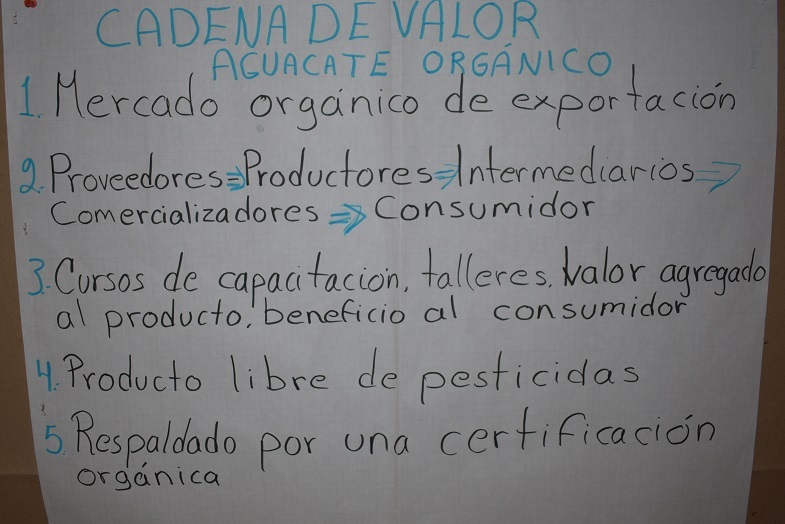 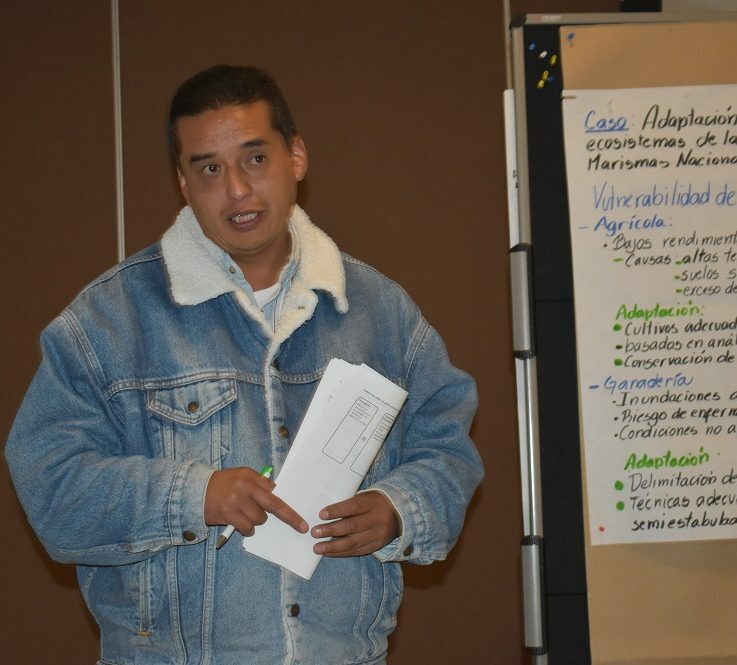 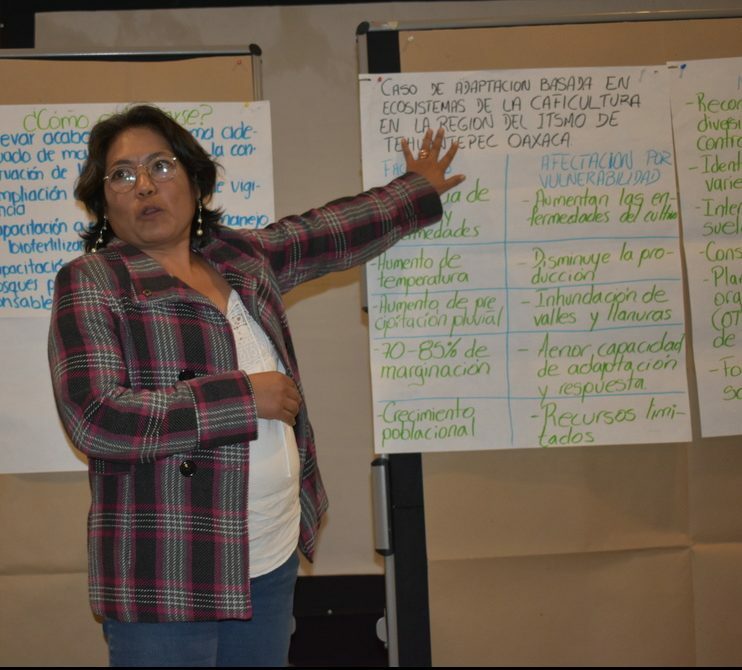 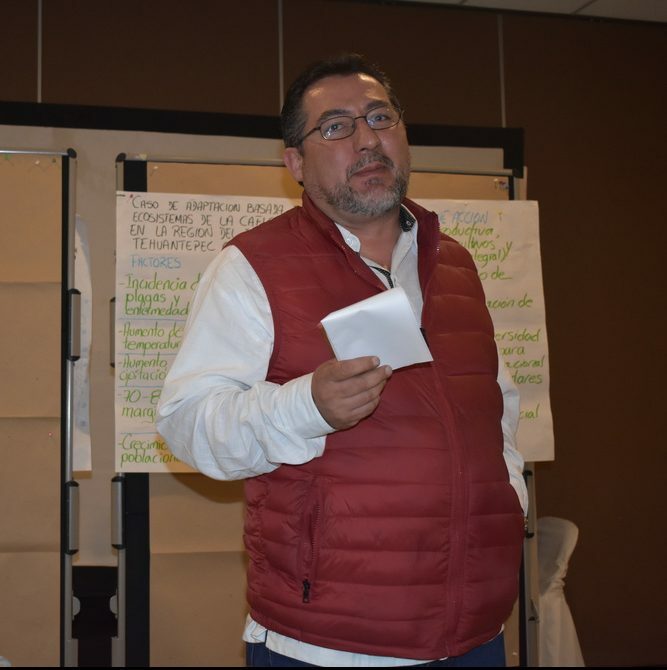 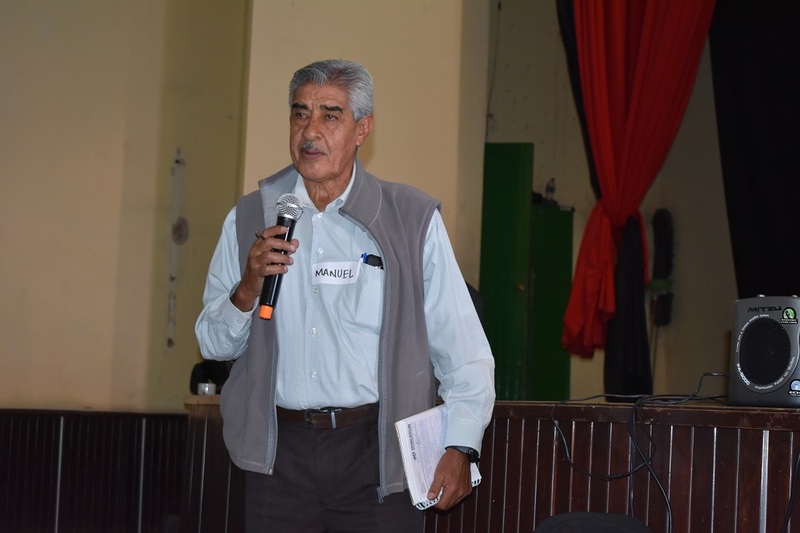 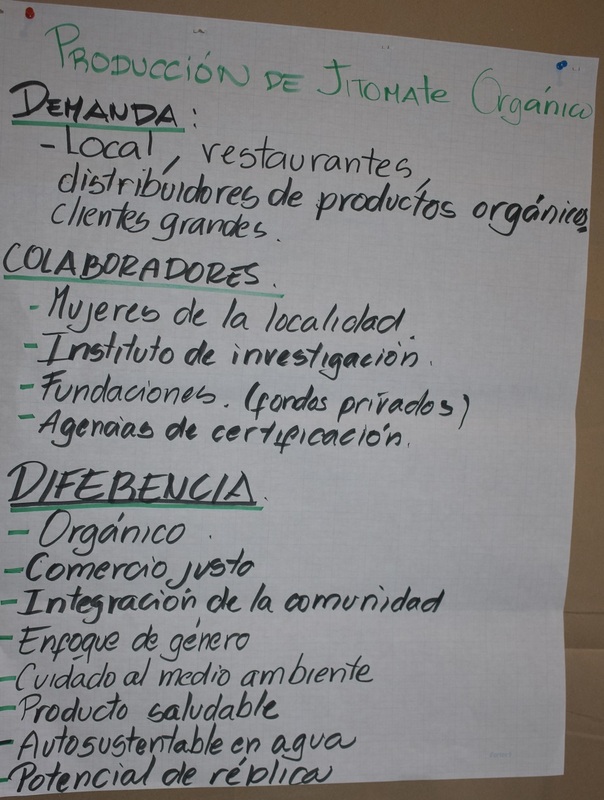 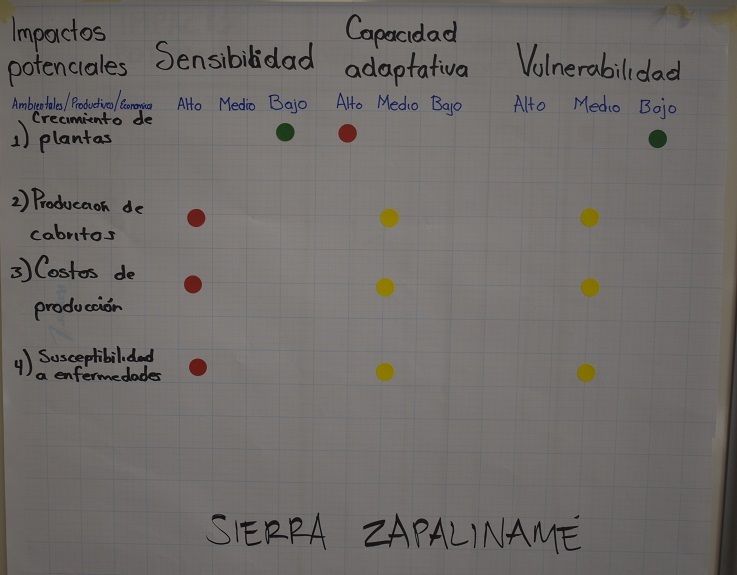 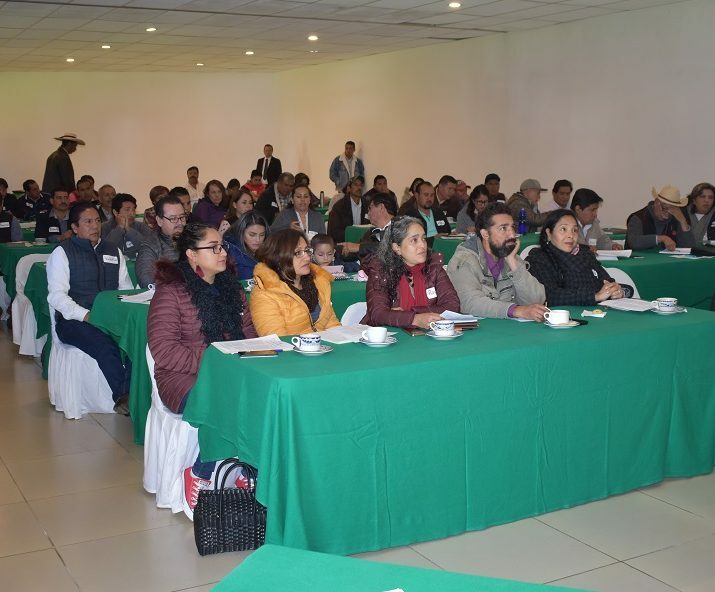 The third workshop was held in Pátzcuaro, Michoacán, on November 19 and 20. 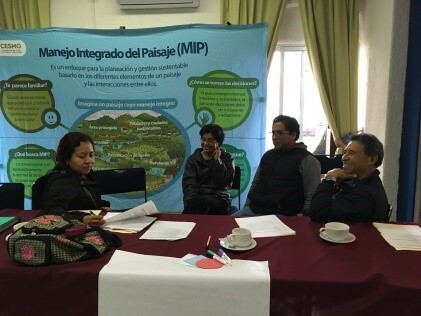 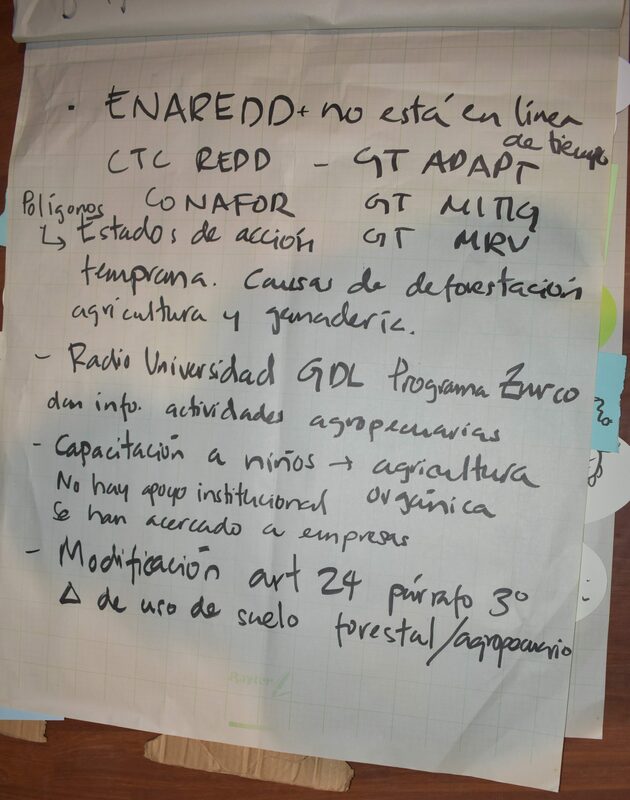 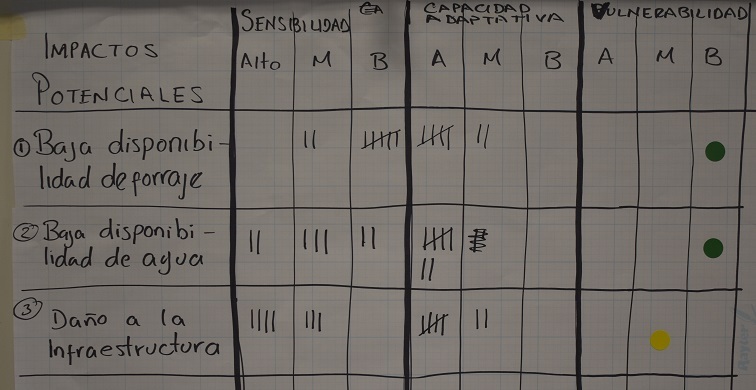 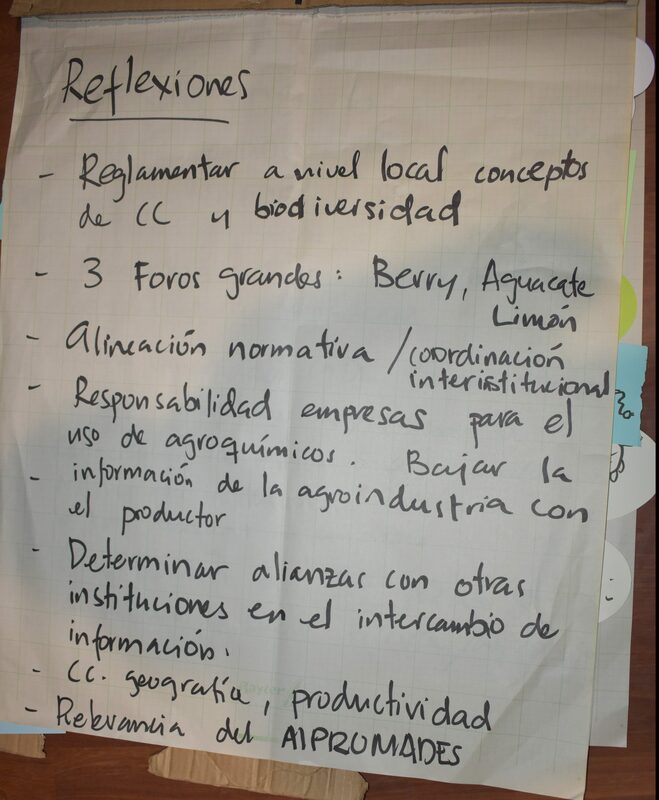 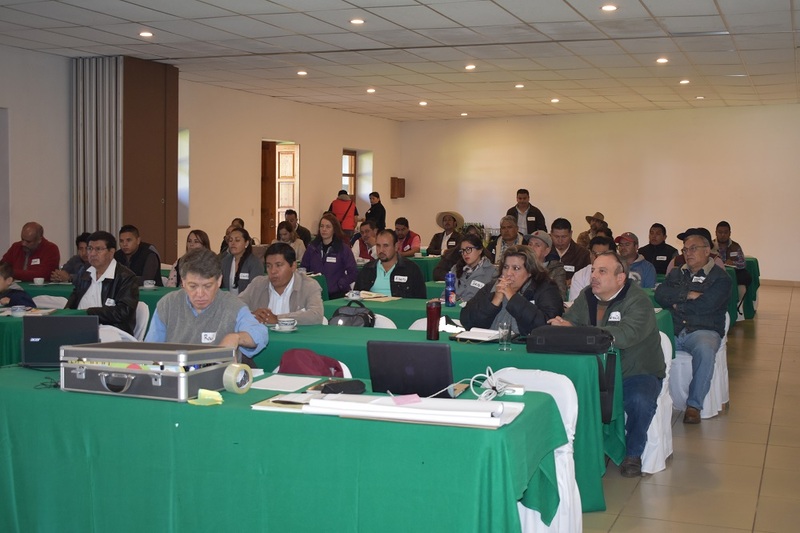 It included 60 participants, among them rural producers, extension agents, mayors and councilors from different city councils in the state, and private consultants; personnel from the Ministry of Rural Development and Agrifood (SEDRUA), the National Institute of Social Economy (INAES) and the Lake Pátzcuaro Basin Commission; and representatives from the organizations Centro Agua and CeCIM. 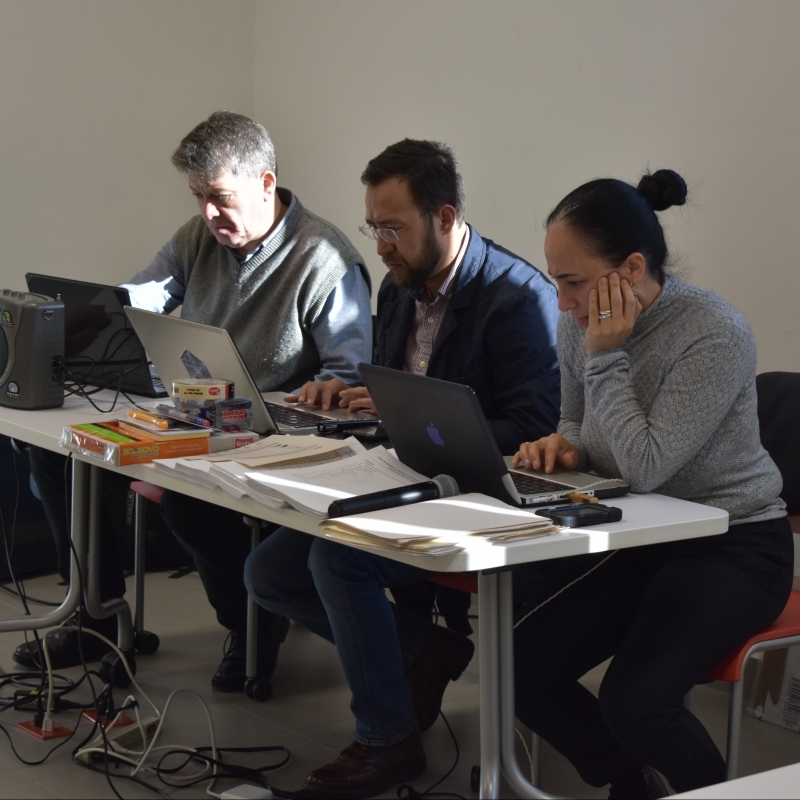 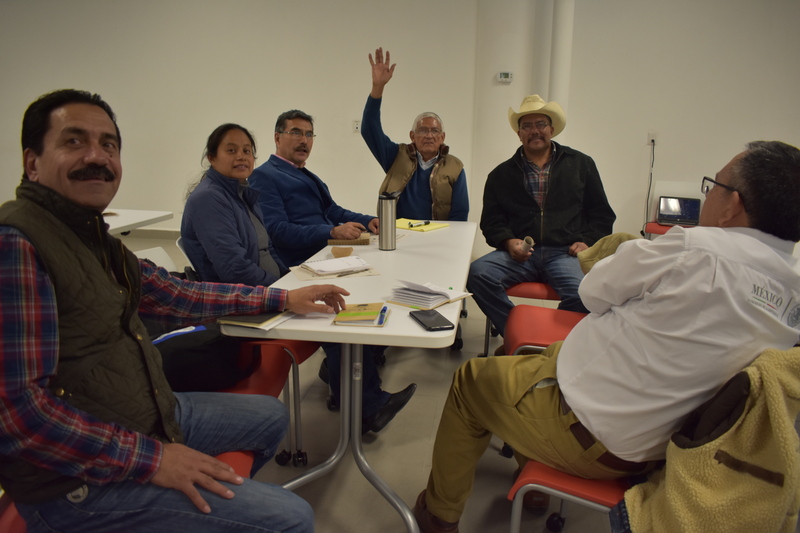 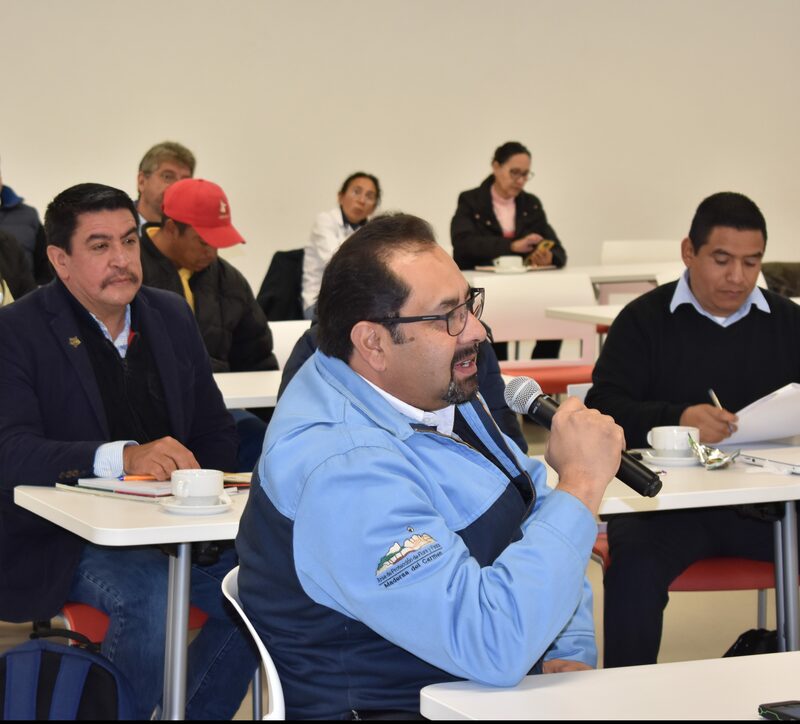 The fourth workshop was held in Saltillo, Coahuila, on November 26 and 27 at the Infoteca of the Autonomous University of Coahuila. 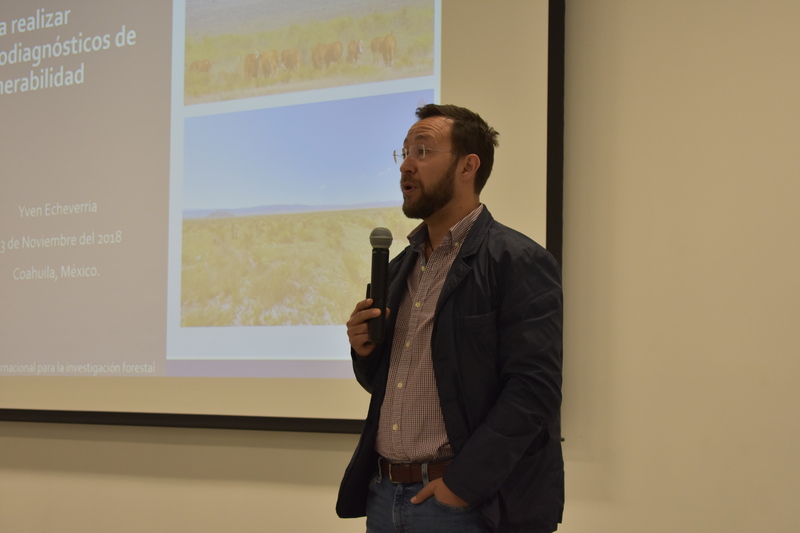 In attendance were 55 participants, including rural producers, students and private consultants; academics from the Universidad Autónoma Agraria Antonio Narro (UAAAN) and the Autonomous University of Coahuila; technical staff from CONANP, SAGARPA and the Environmental and Rural Development Ministries of the Government of Coahuila; and researchers from the International Maize and Wheat Improvement Center (CIMMYT) and INIFAP. 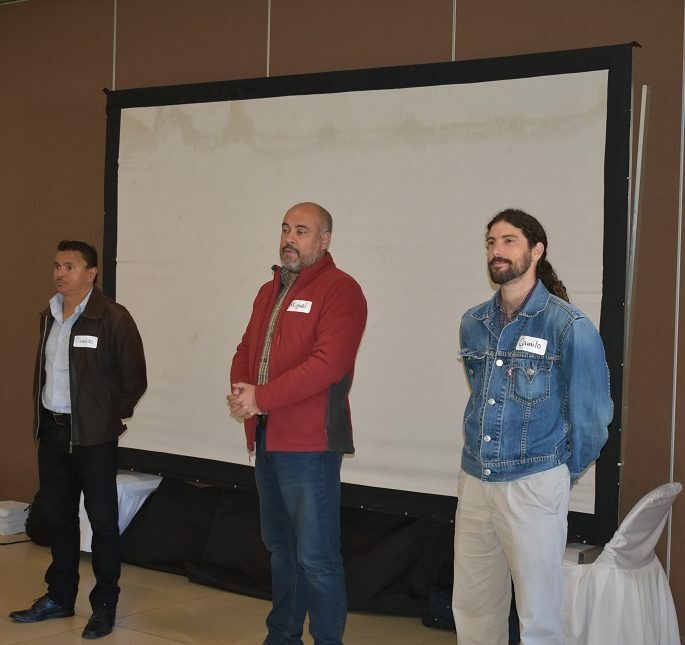 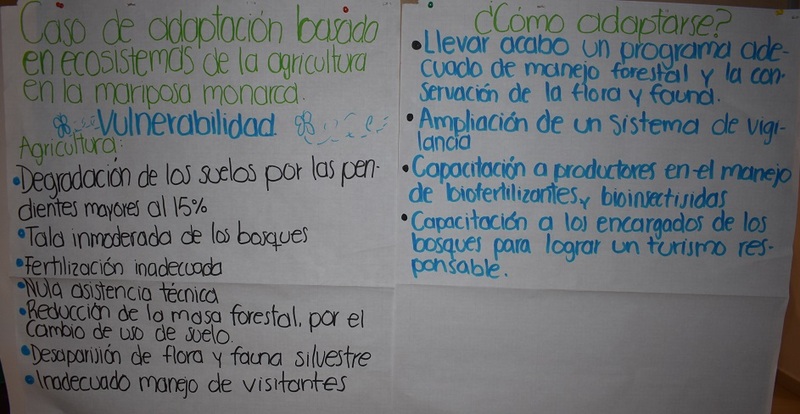 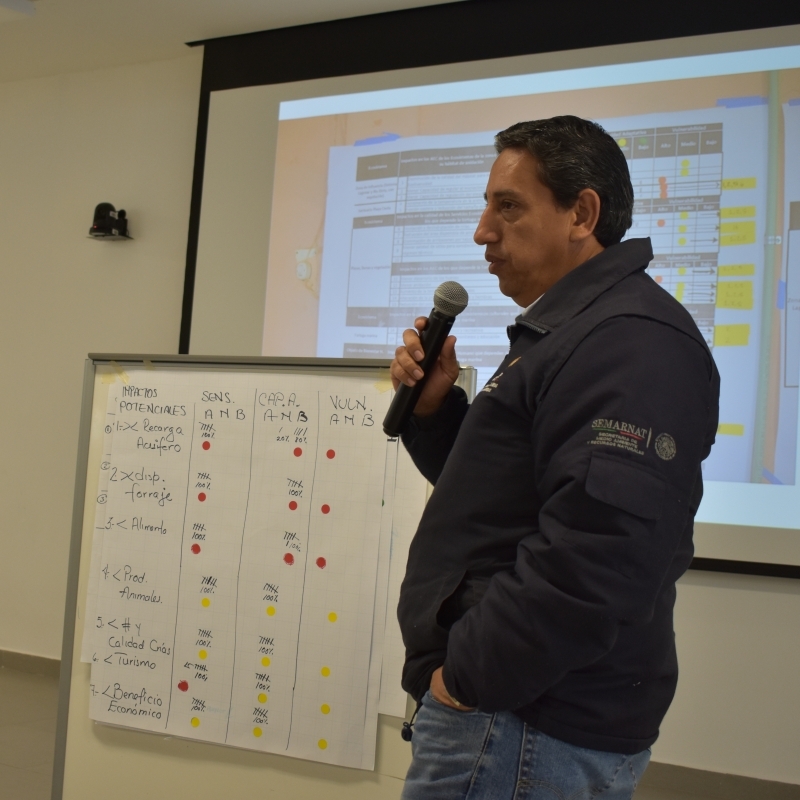 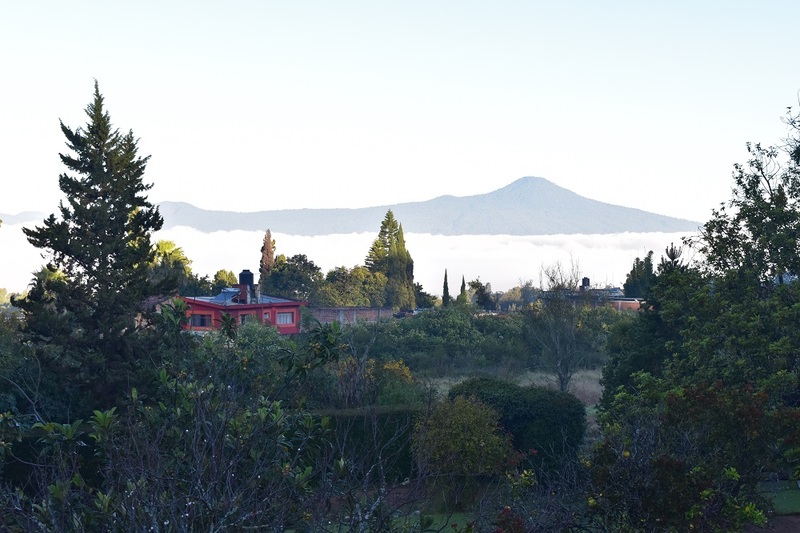 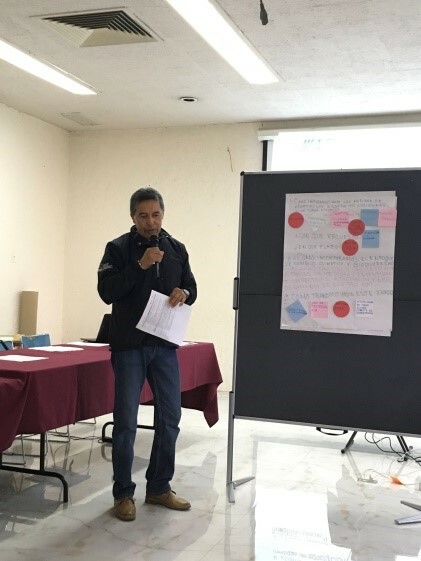 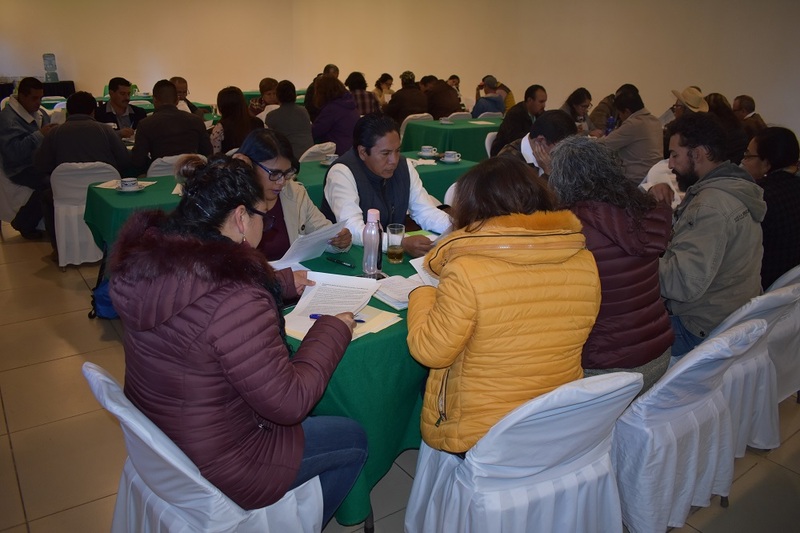 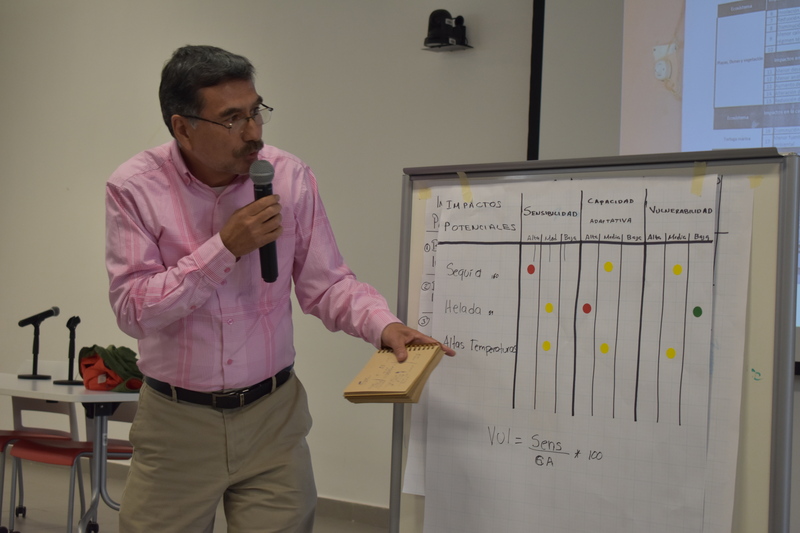 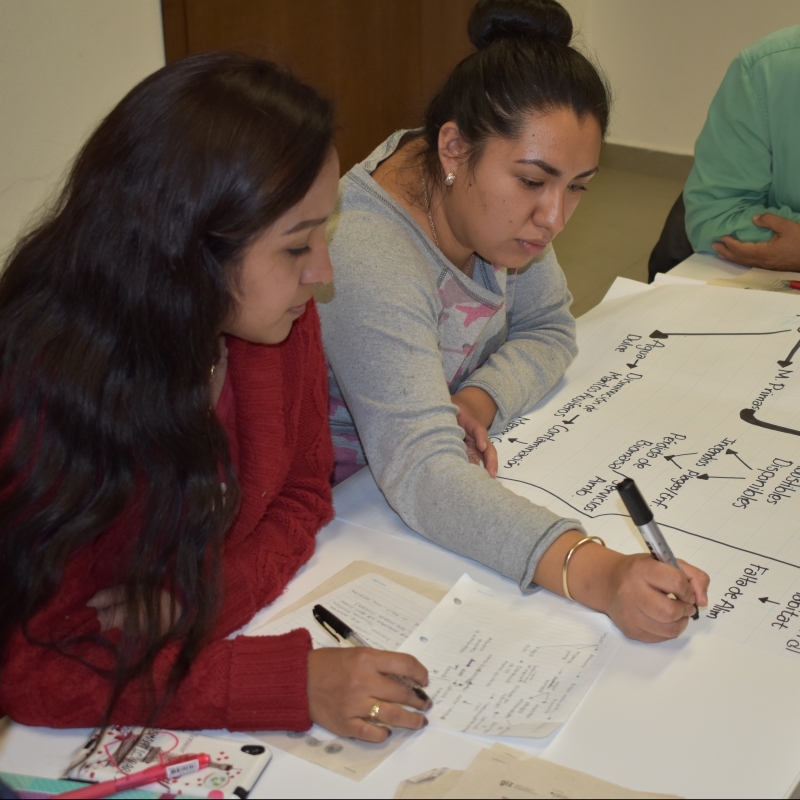 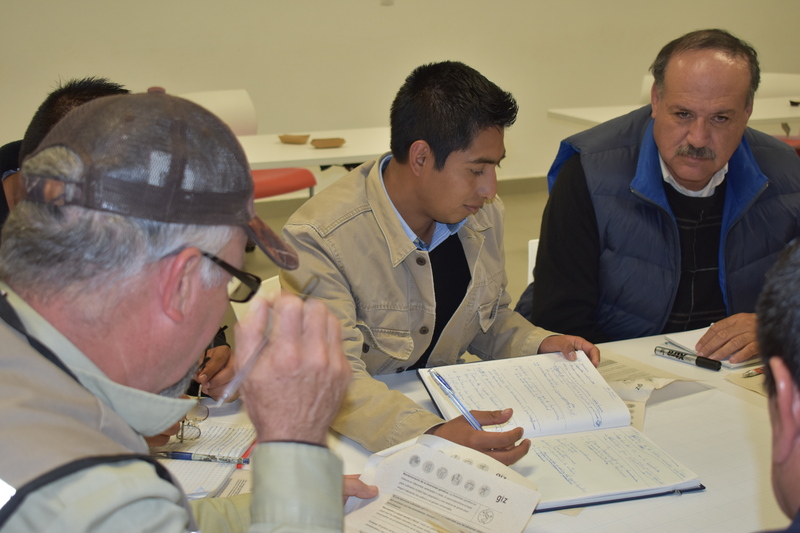 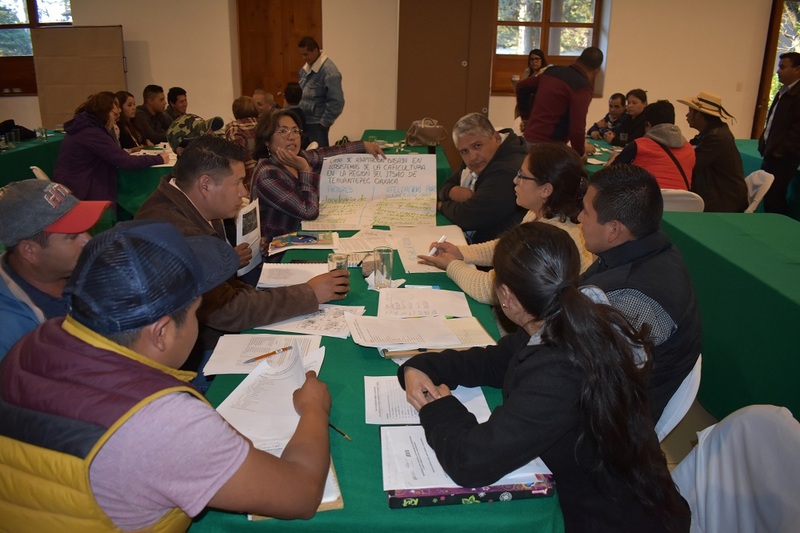 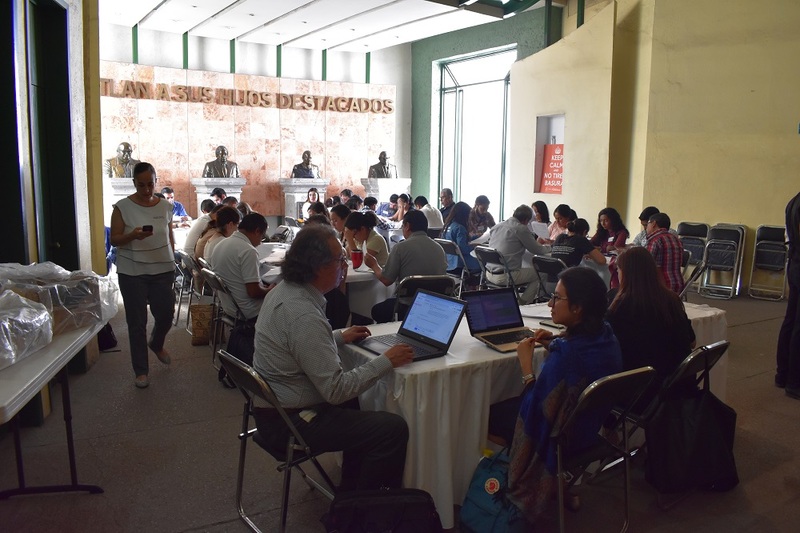 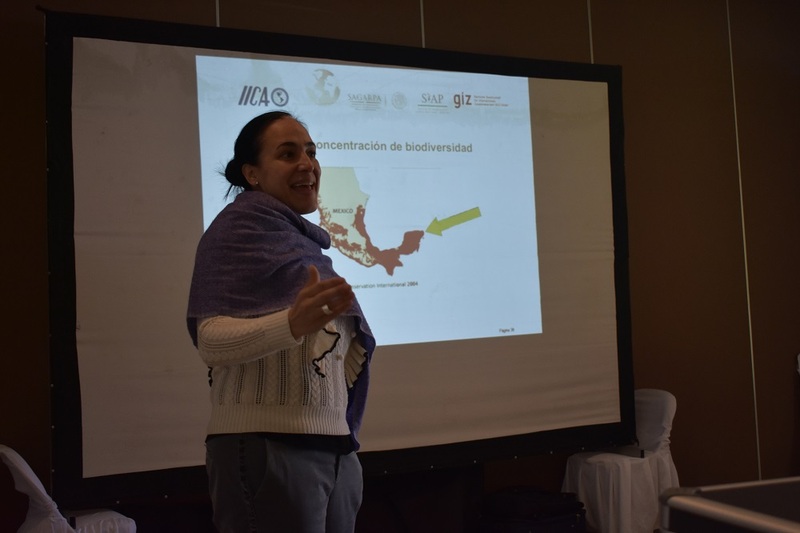 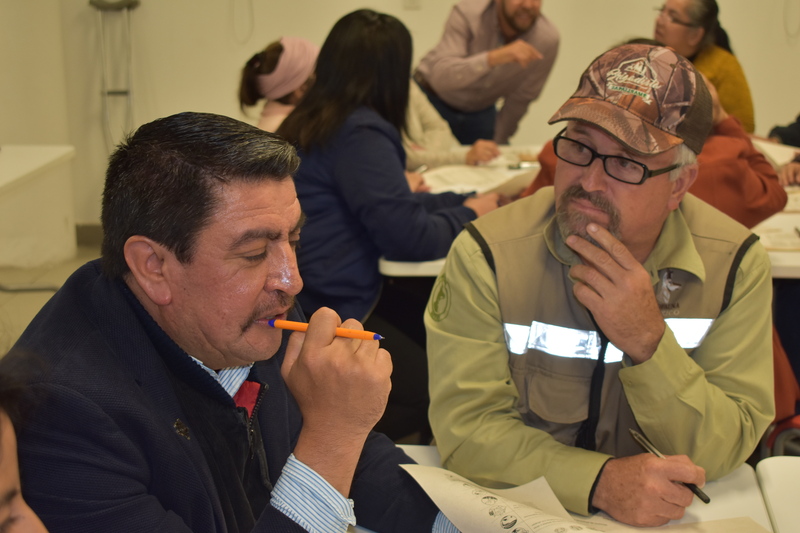 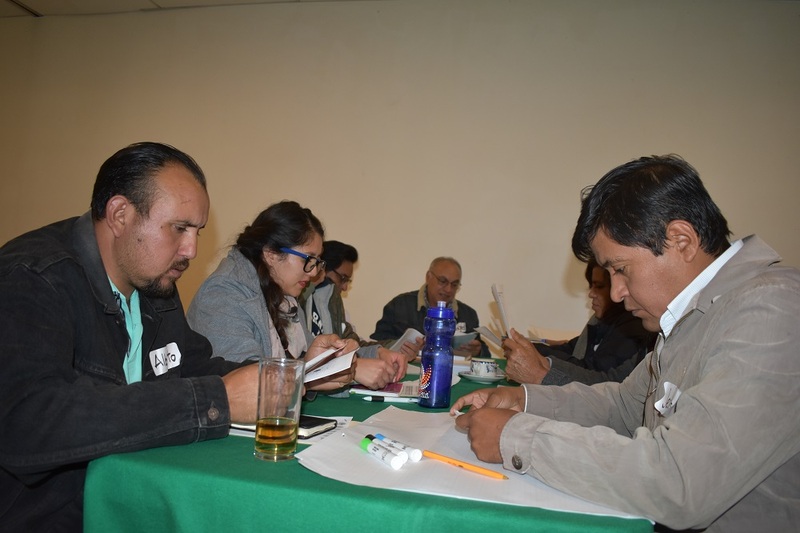 The fifth workshop was held in coordination with the GIZ Integrated Landscape Management project team on November 29 and 30 in Cholula, Puebla. 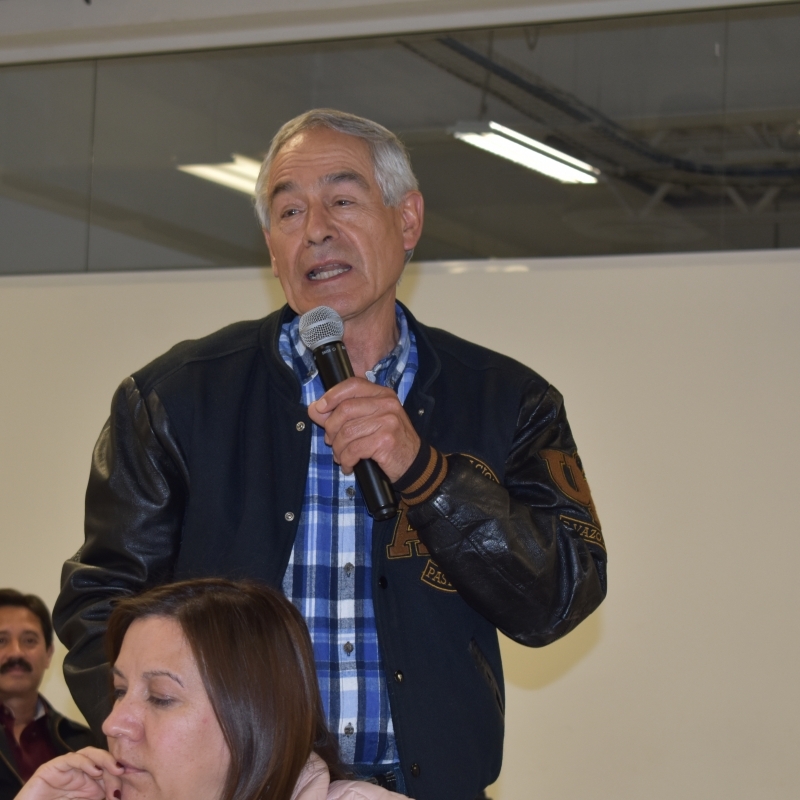 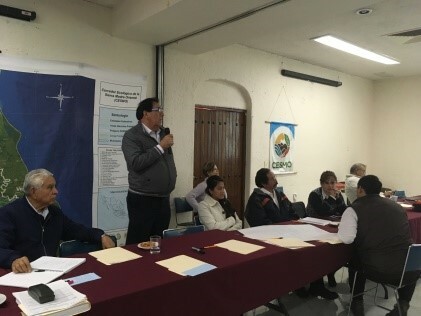 The 36 attendees included SAGARPA technical staff assigned to the state delegation in Puebla and the Rural Development Districts (DDR) in Huauchinango, Zacatlán, Teziutlán, Libres, Cholula, Izúcar de Matamoros, Tecamachalco and Tehuacán.